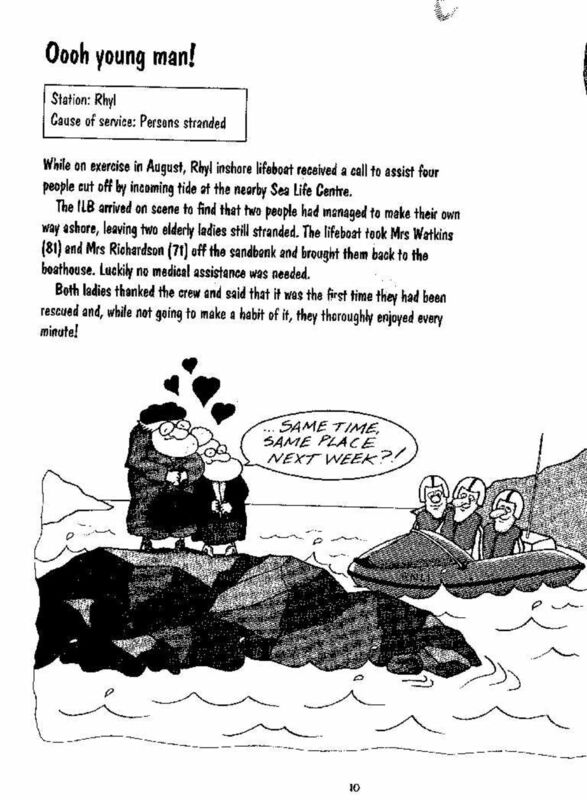 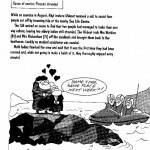 Cartoon from RNLI staff magazine,with regard to a”job” we did in the Summer of 2000. 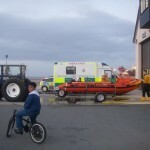 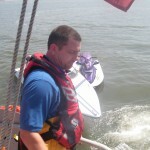 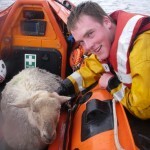 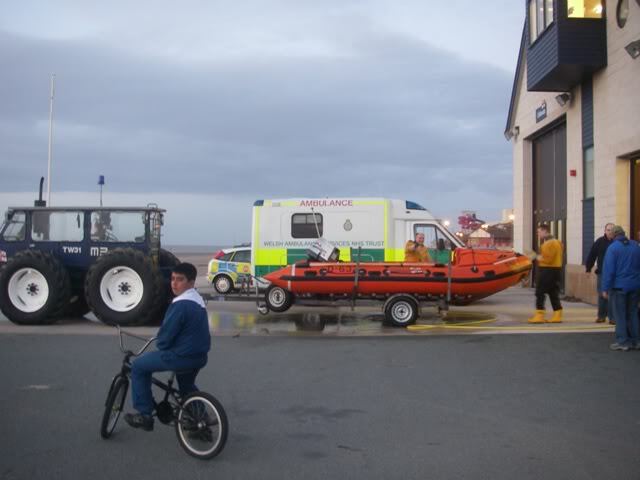 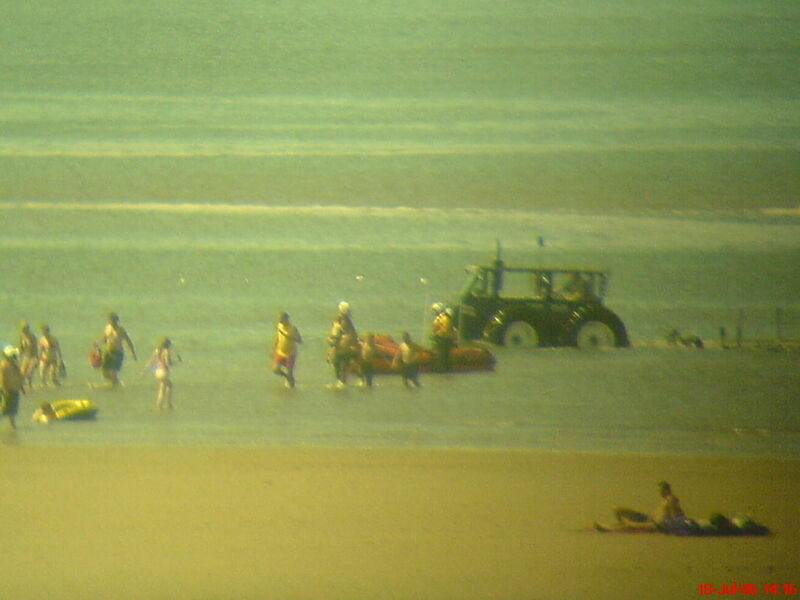 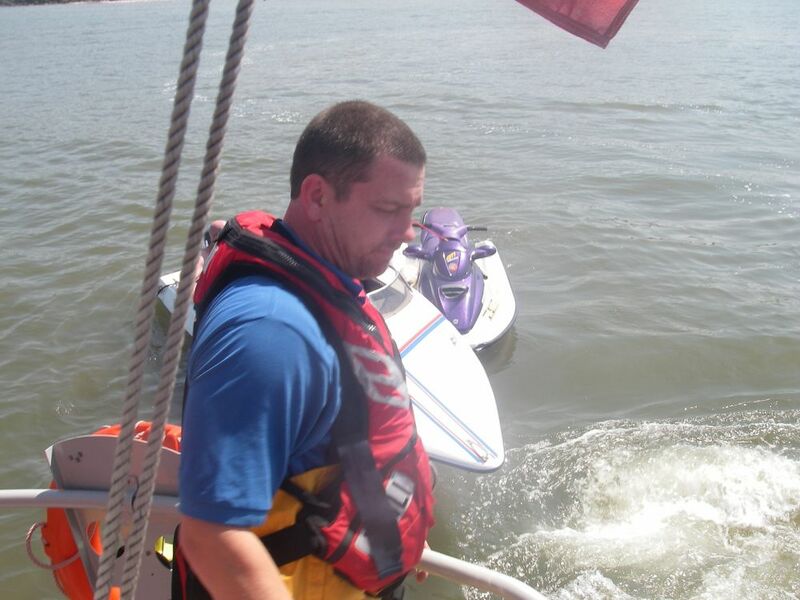 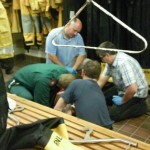 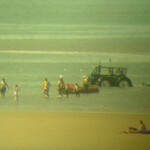 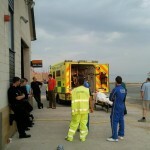 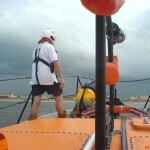 July 2006 ILB – Council beach lifeguard assisting person on inflatable airbed before ILB turns up. 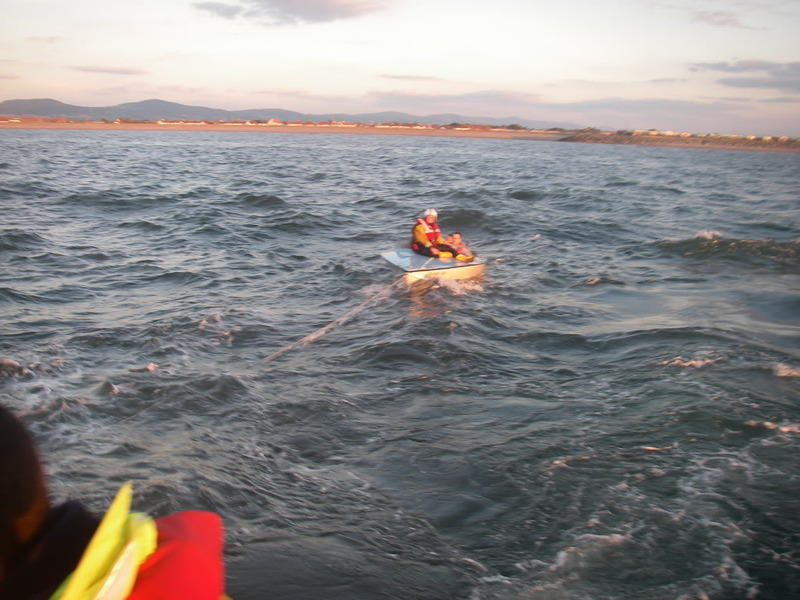 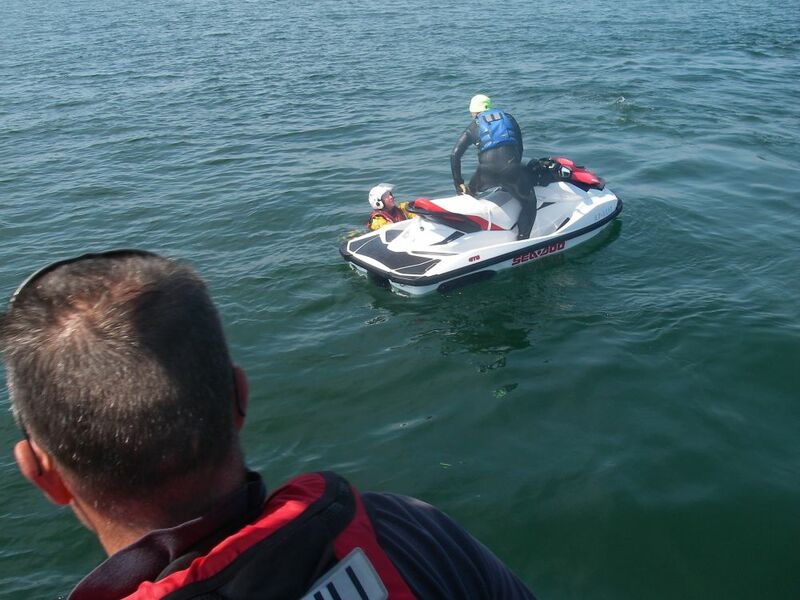 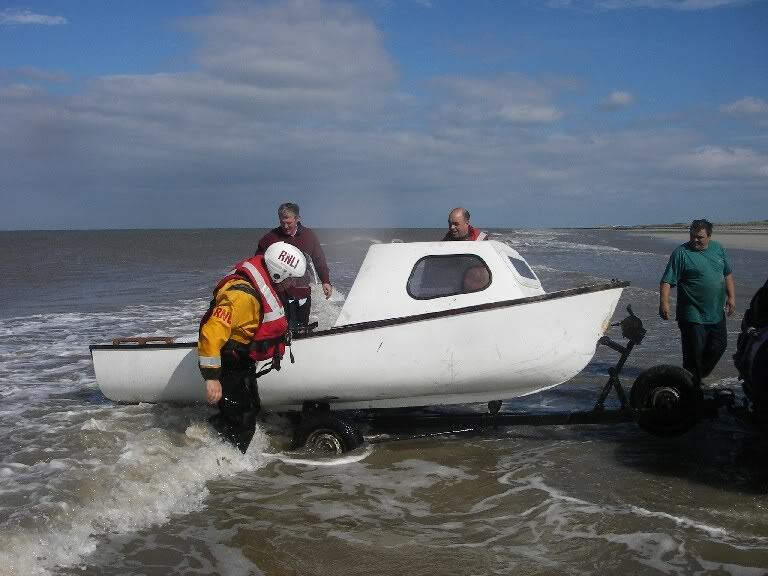 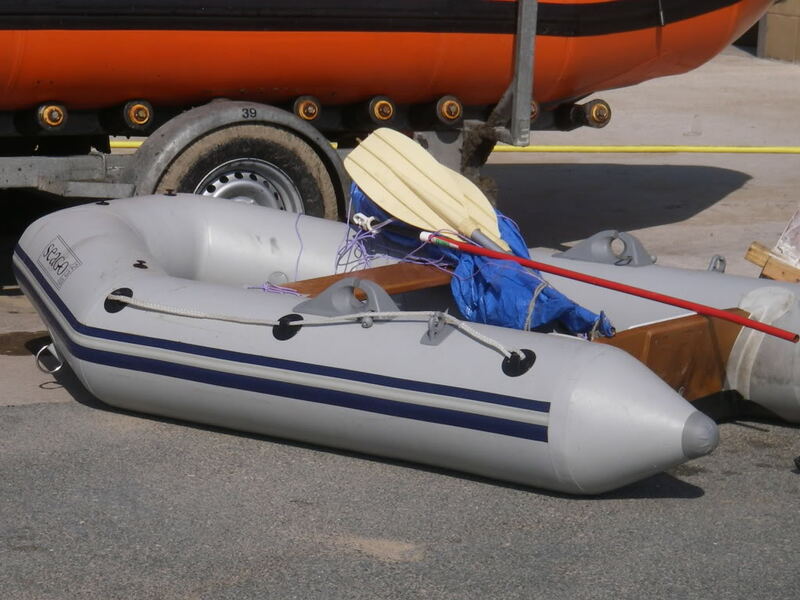 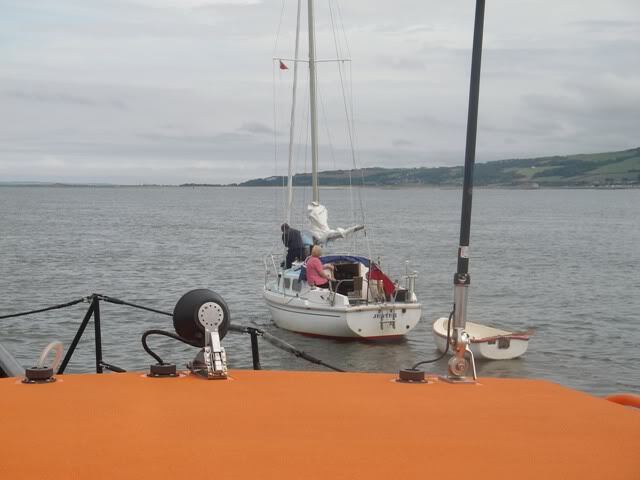 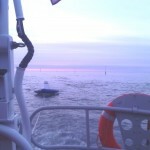 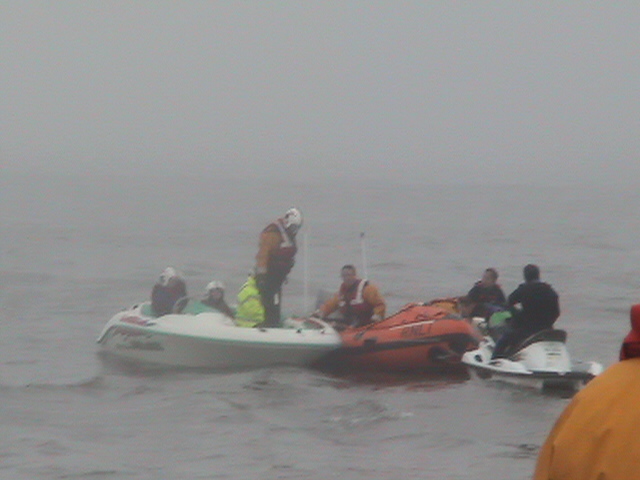 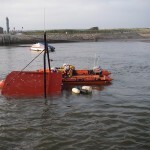 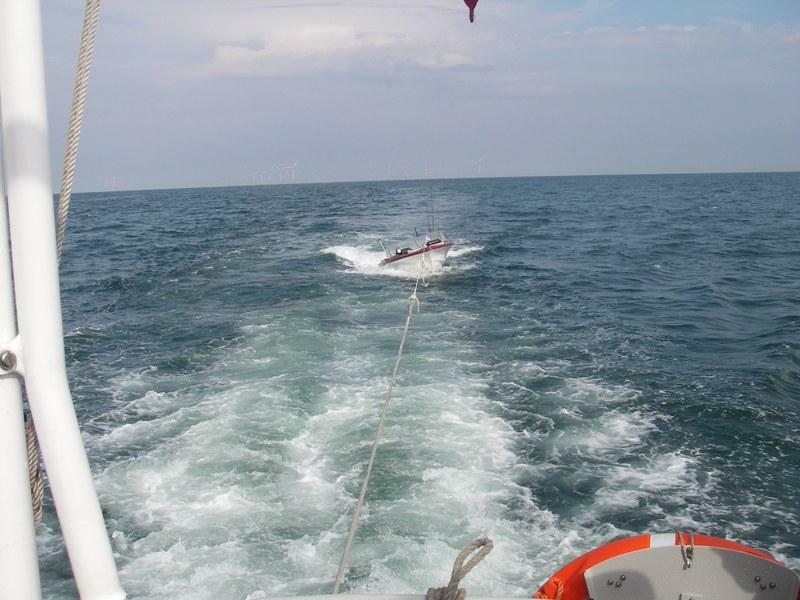 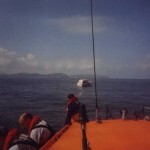 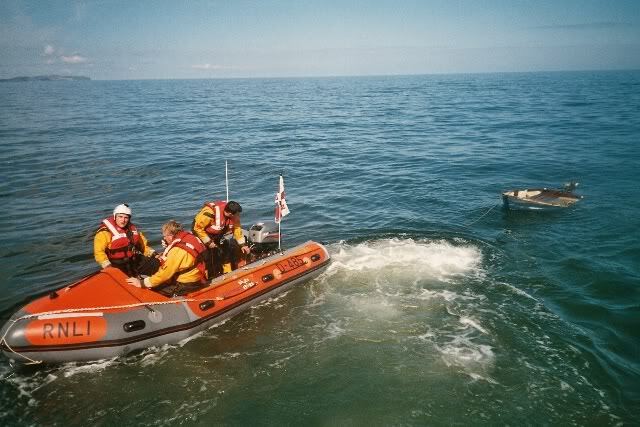 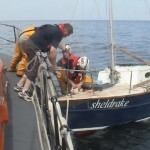 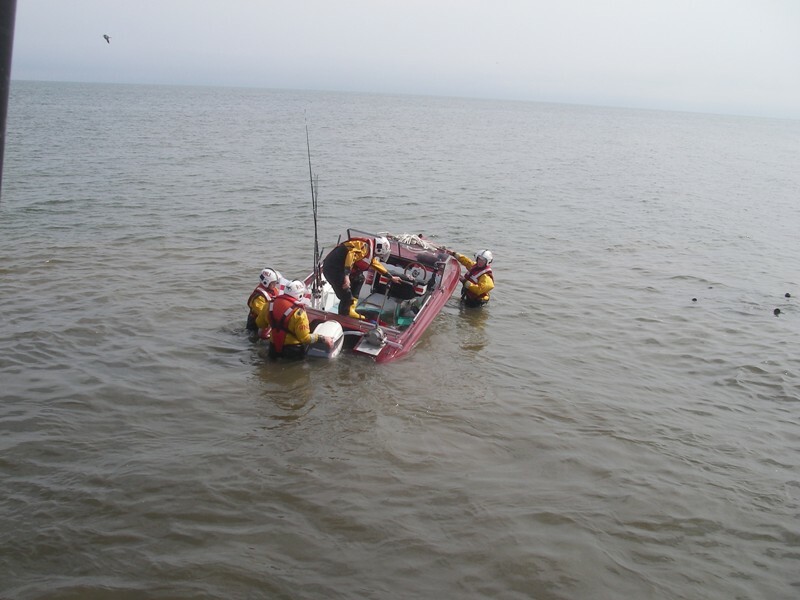 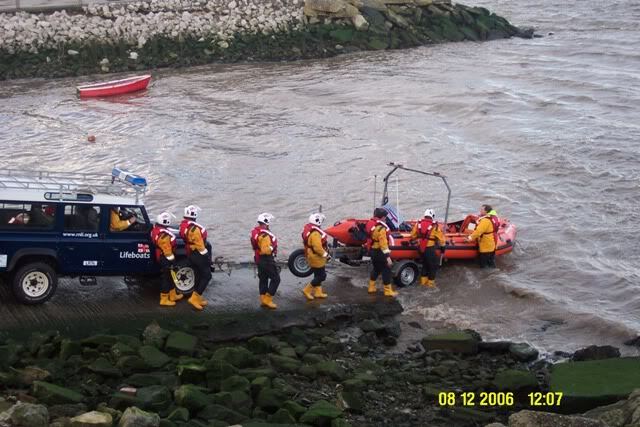 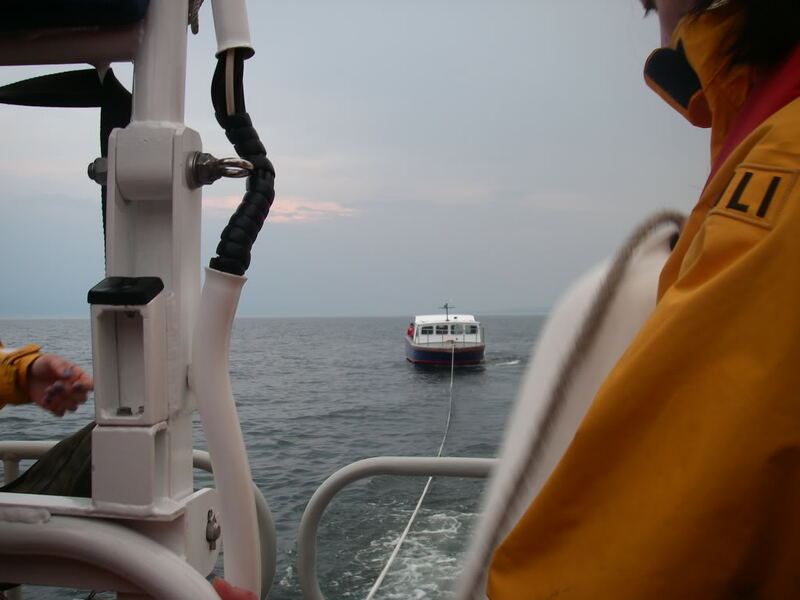 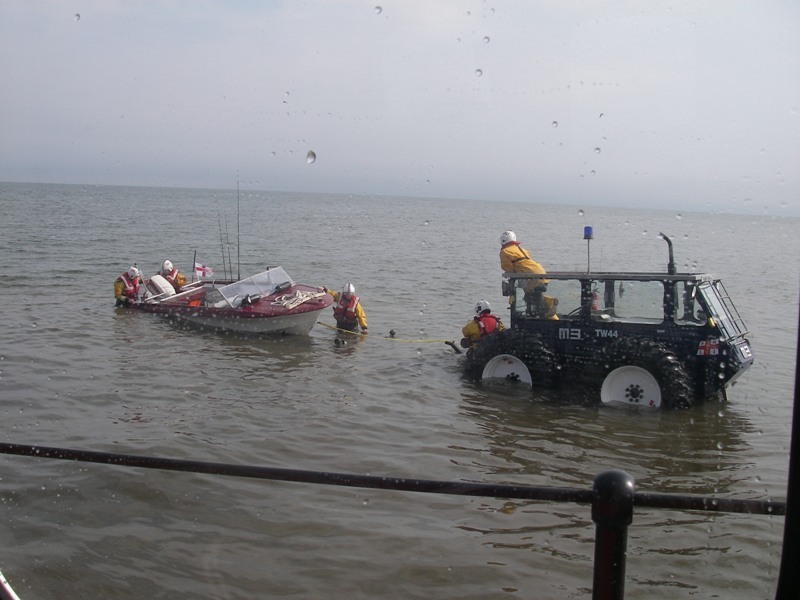 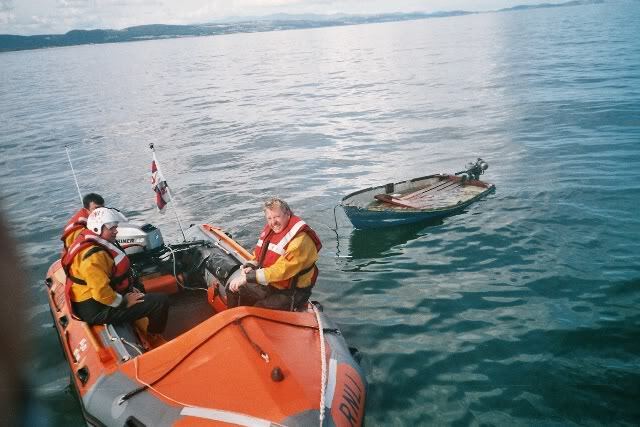 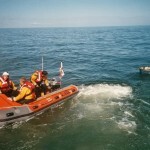 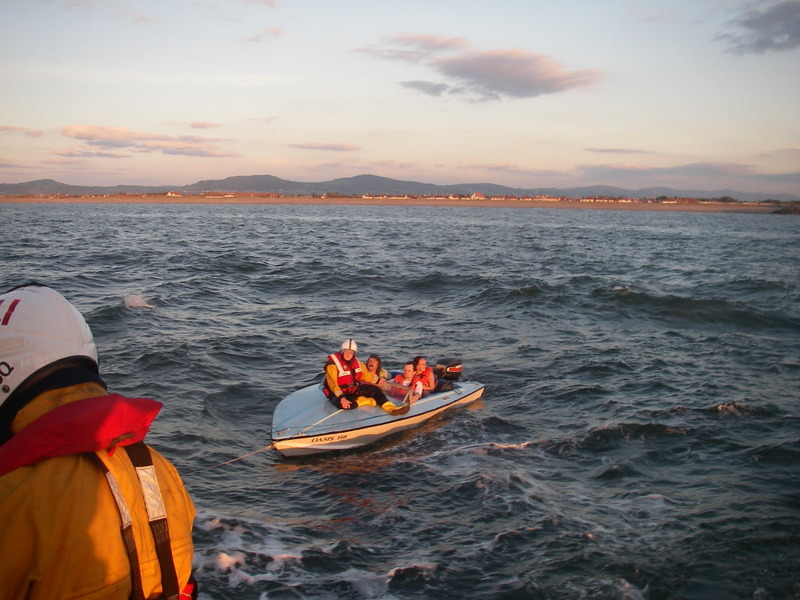 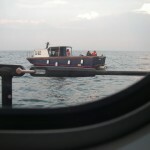 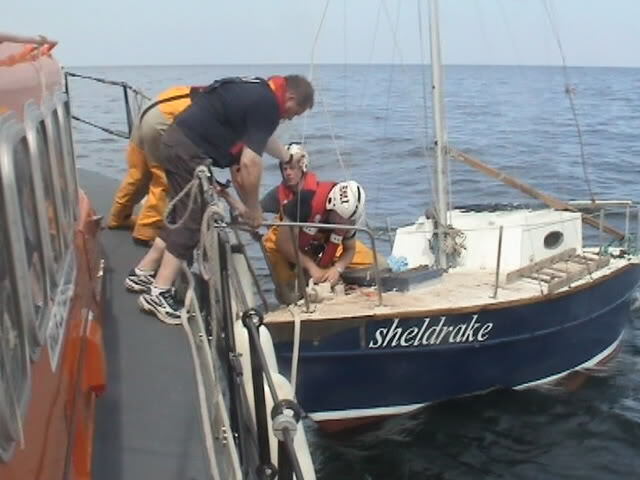 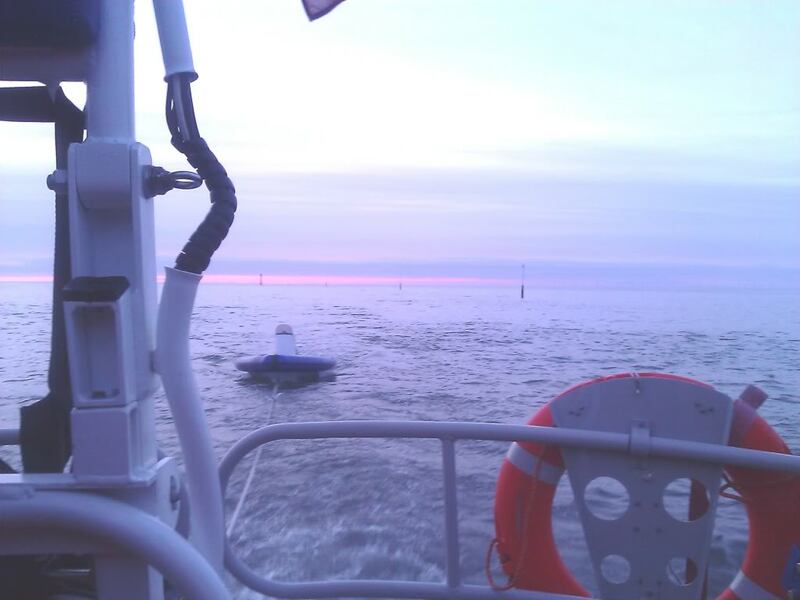 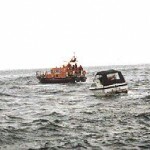 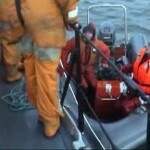 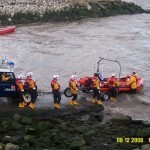 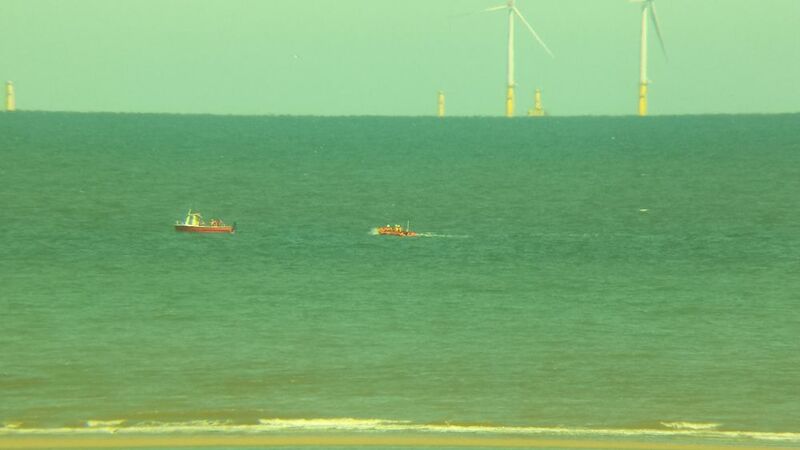 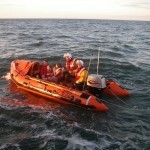 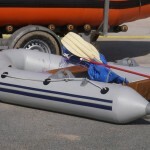 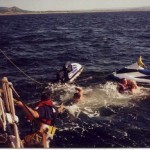 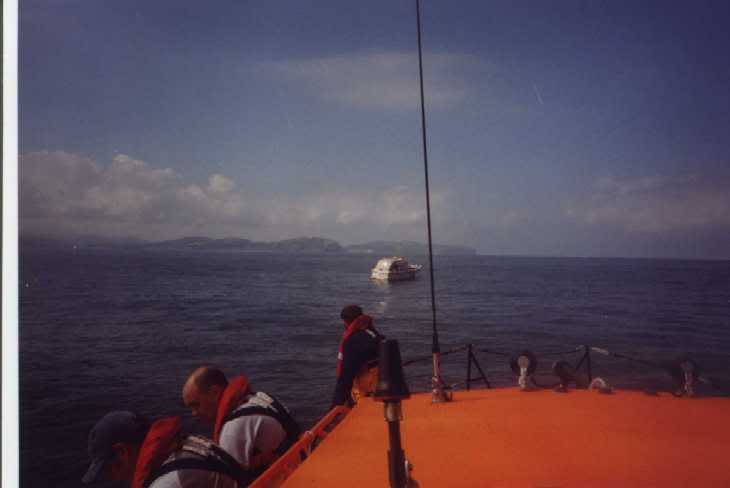 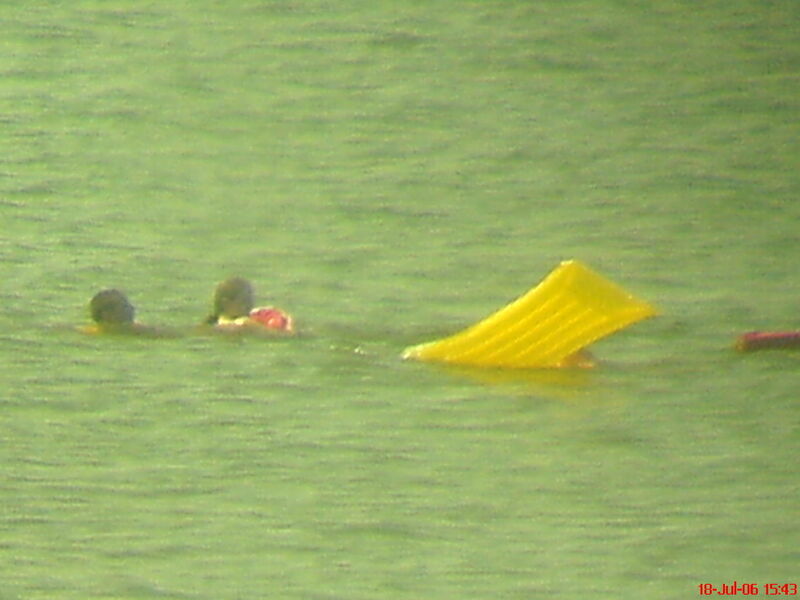 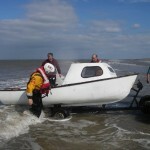 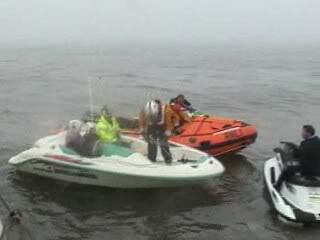 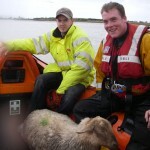 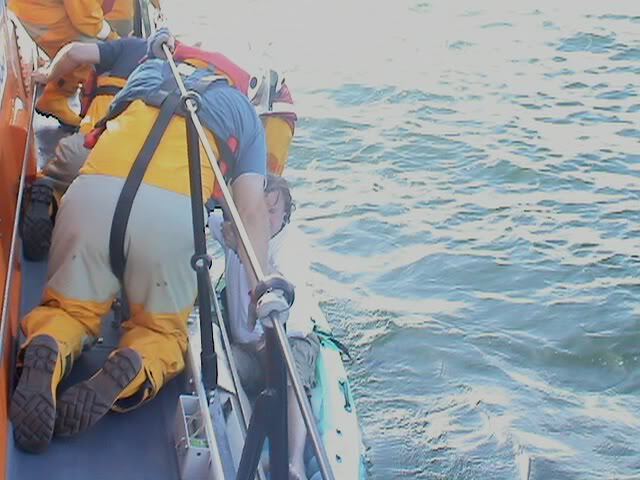 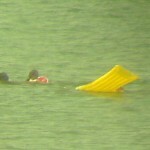 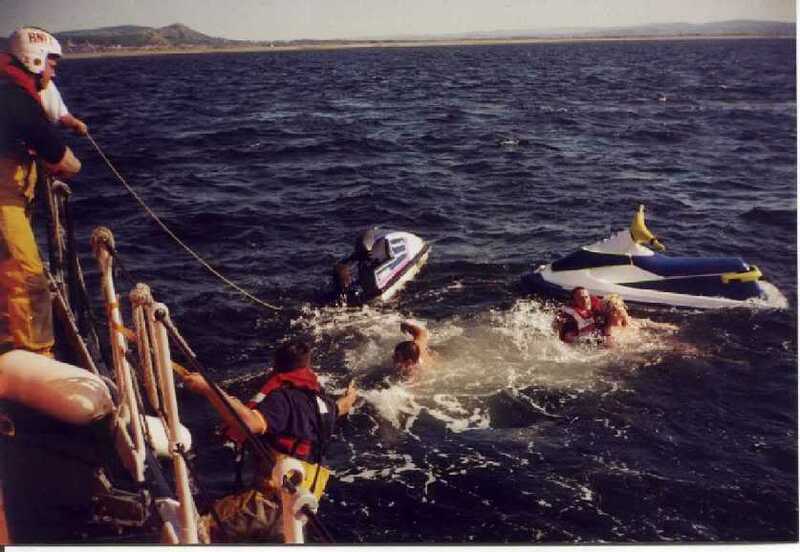 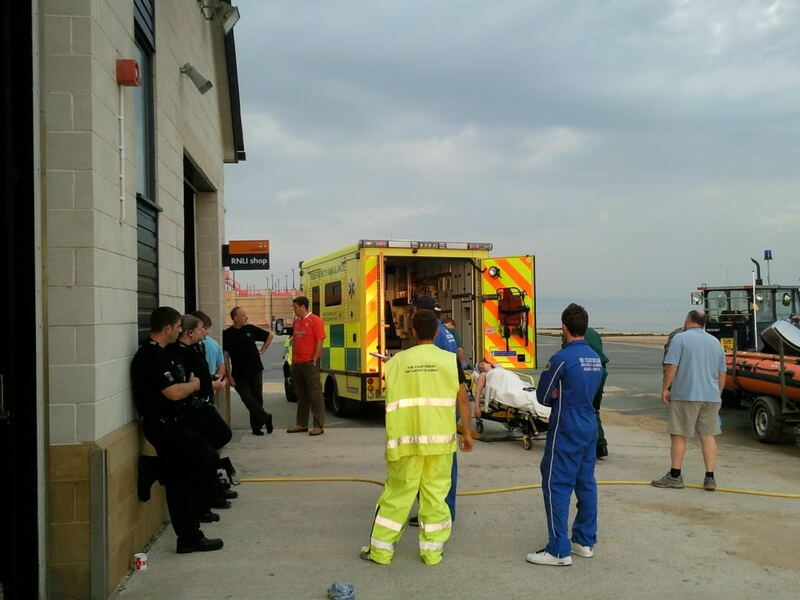 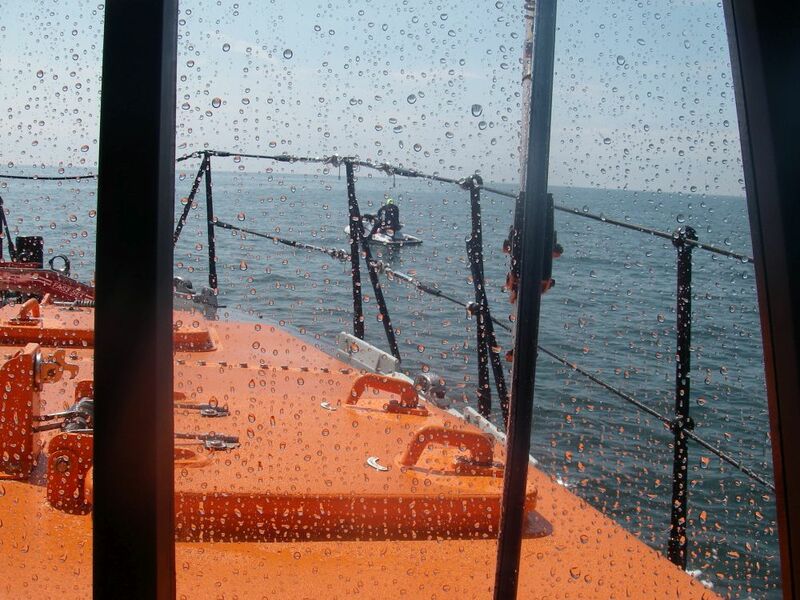 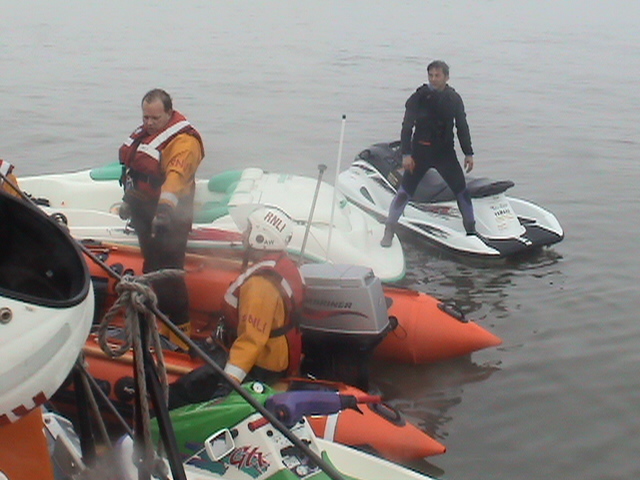 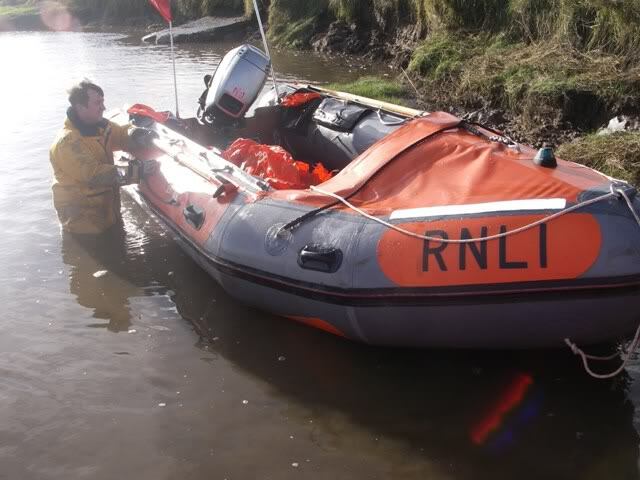 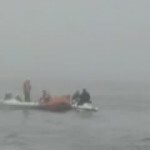 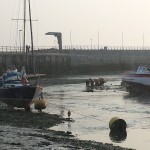 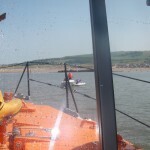 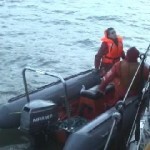 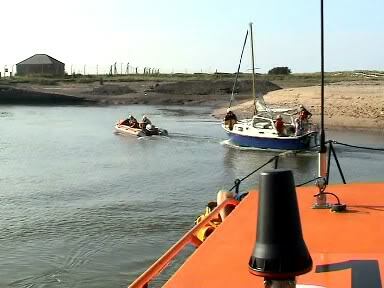 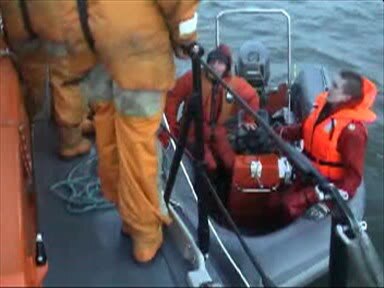 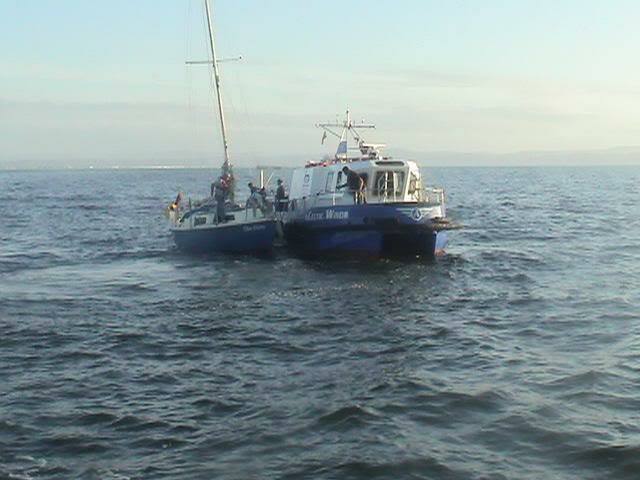 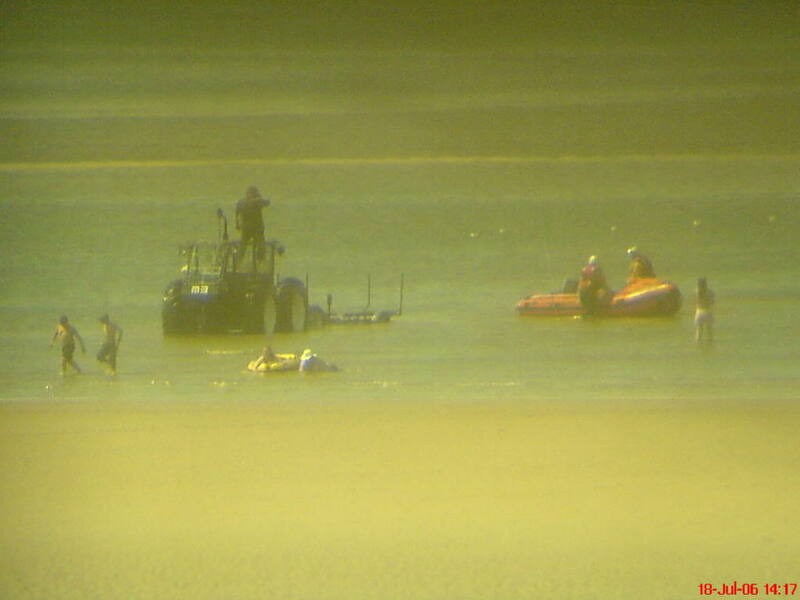 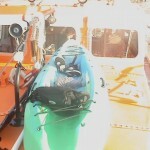 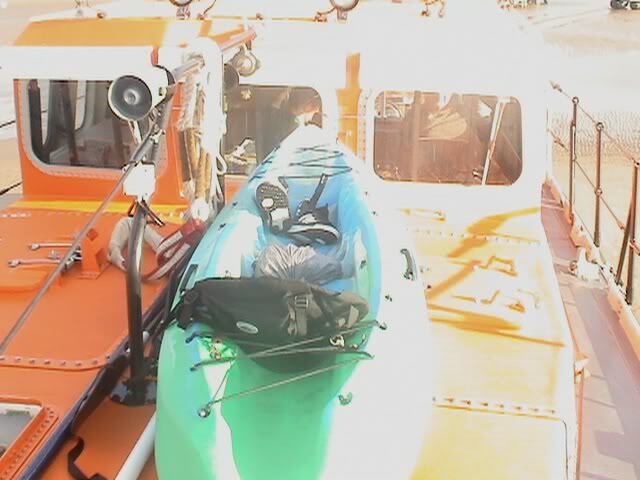 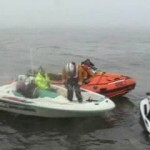 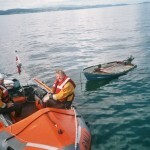 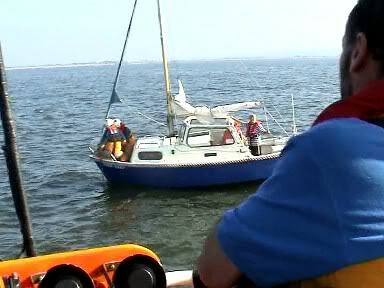 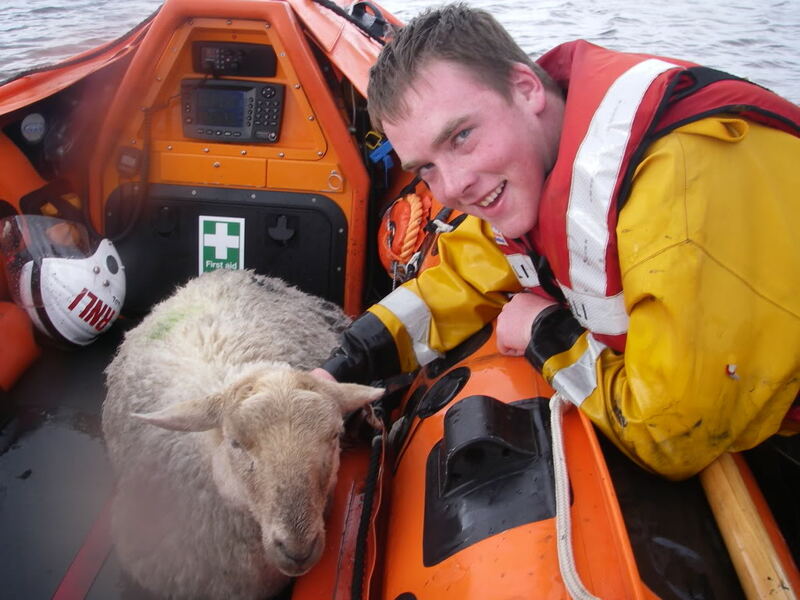 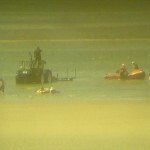 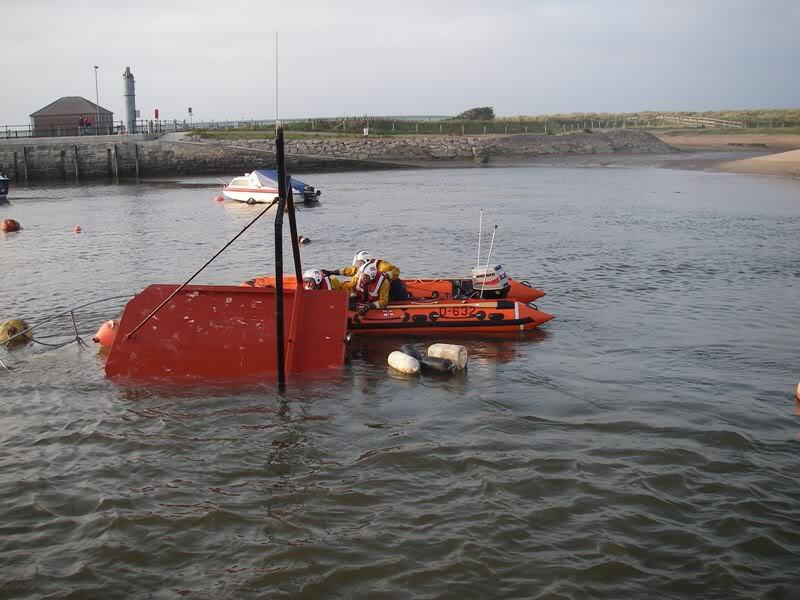 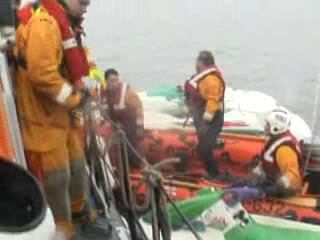 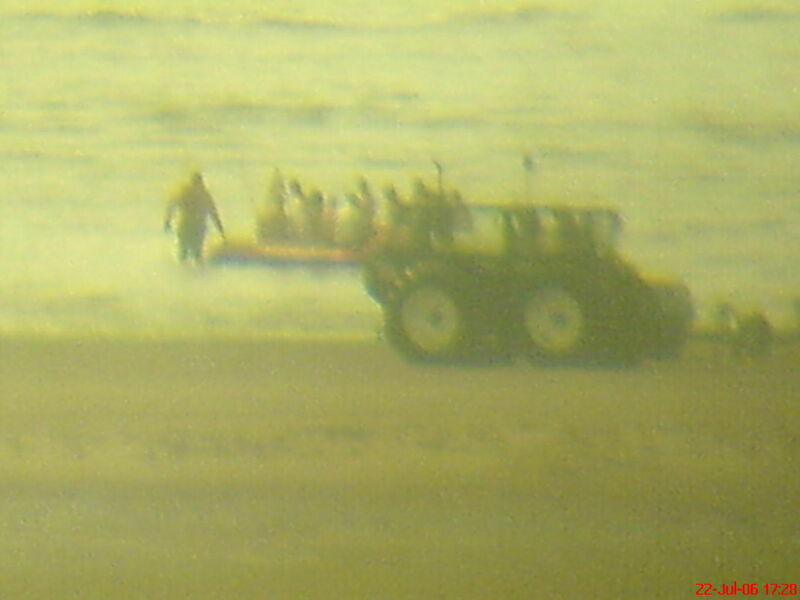 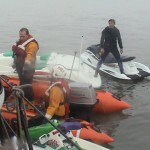 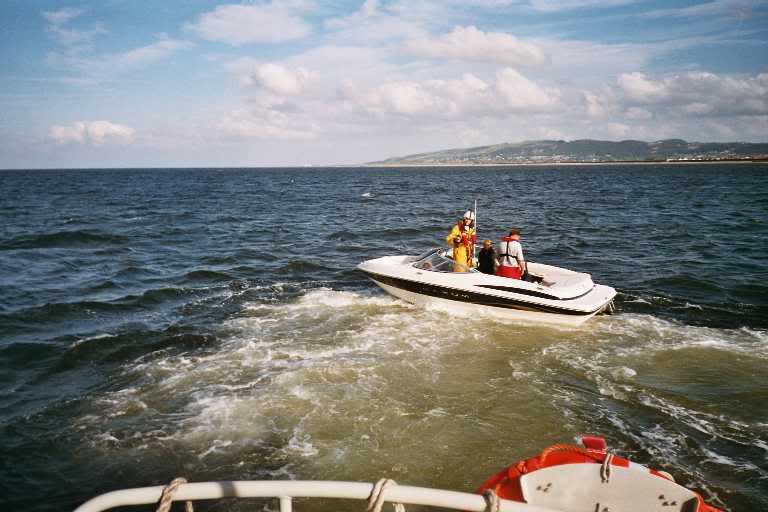 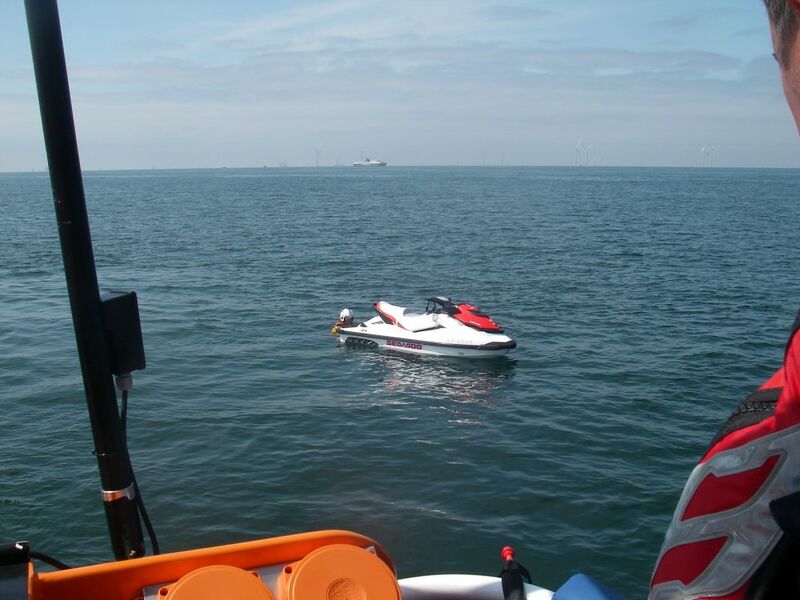 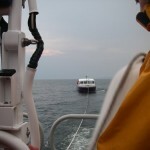 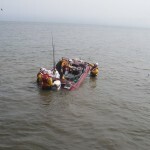 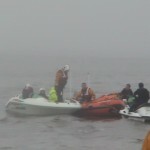 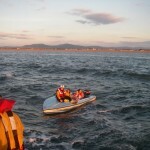 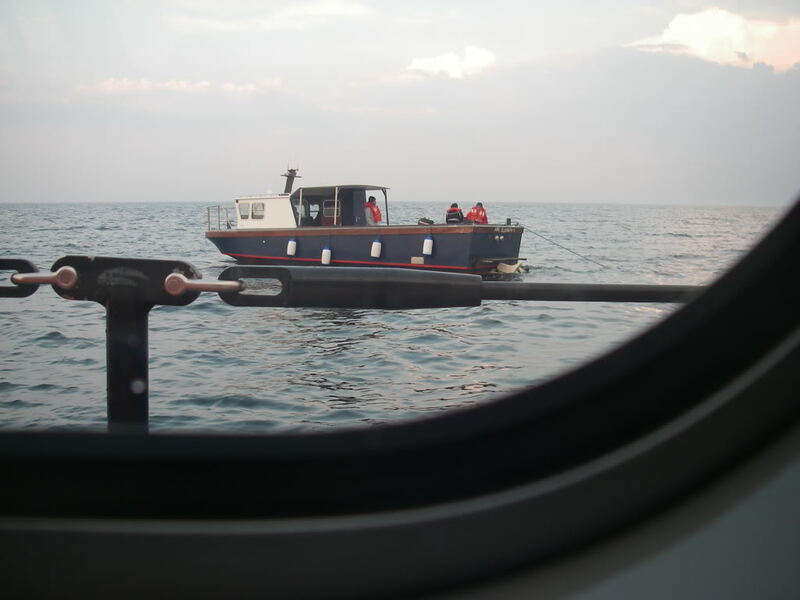 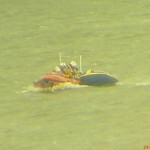 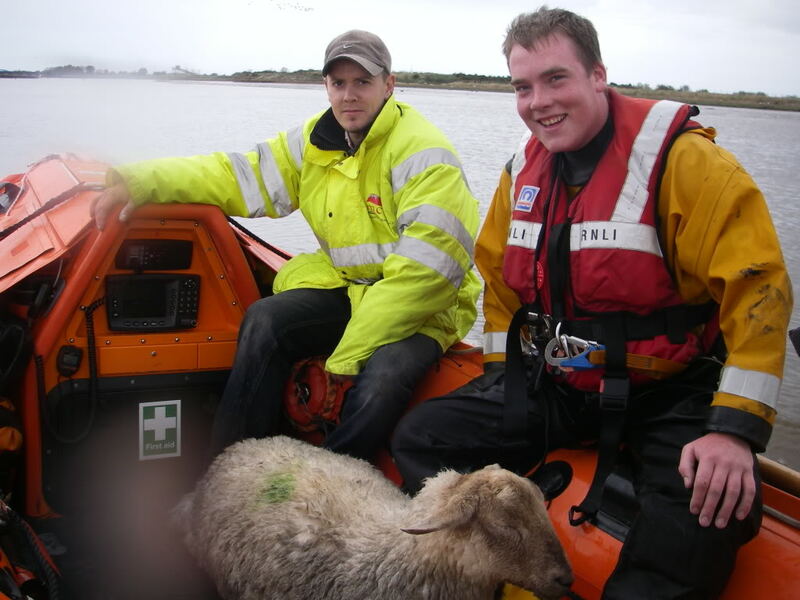 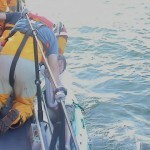 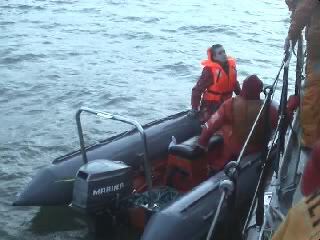 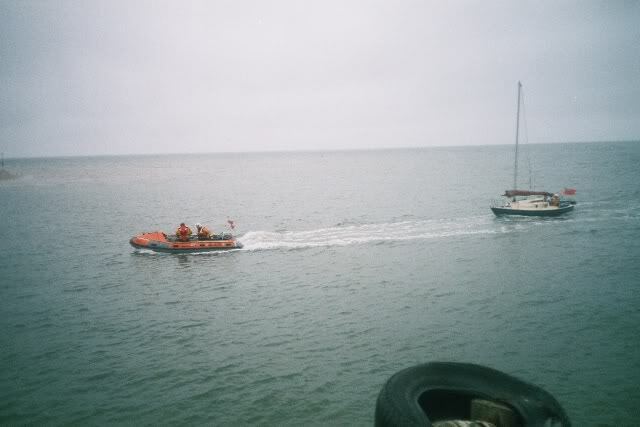 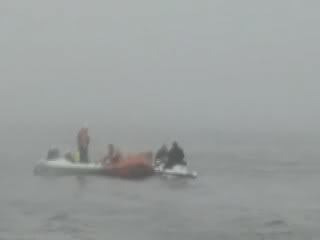 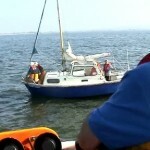 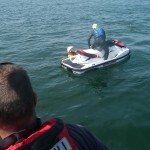 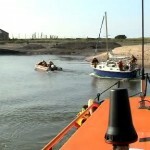 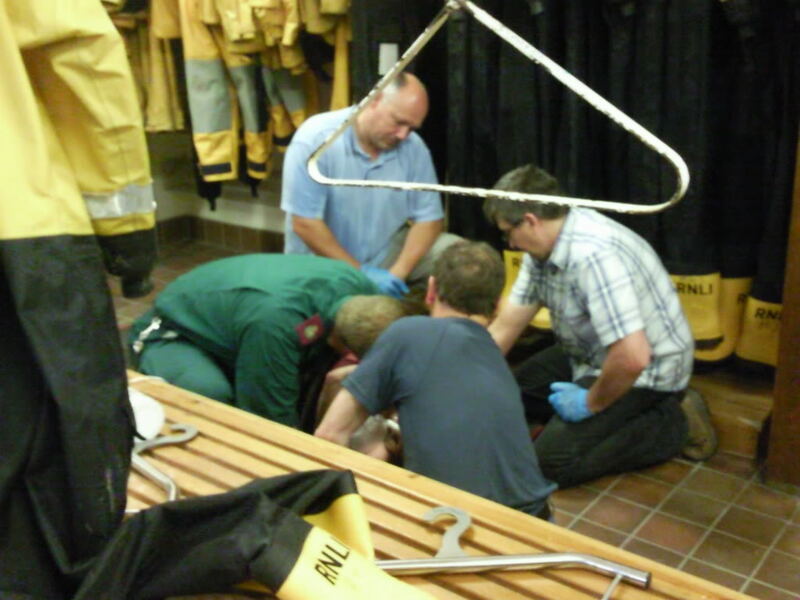 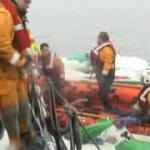 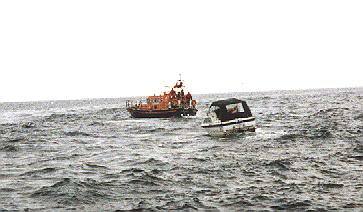 ILB service 23 Aug 2008 – ILB crew returning inflatable to shore, 2 occupants safe in ILB. 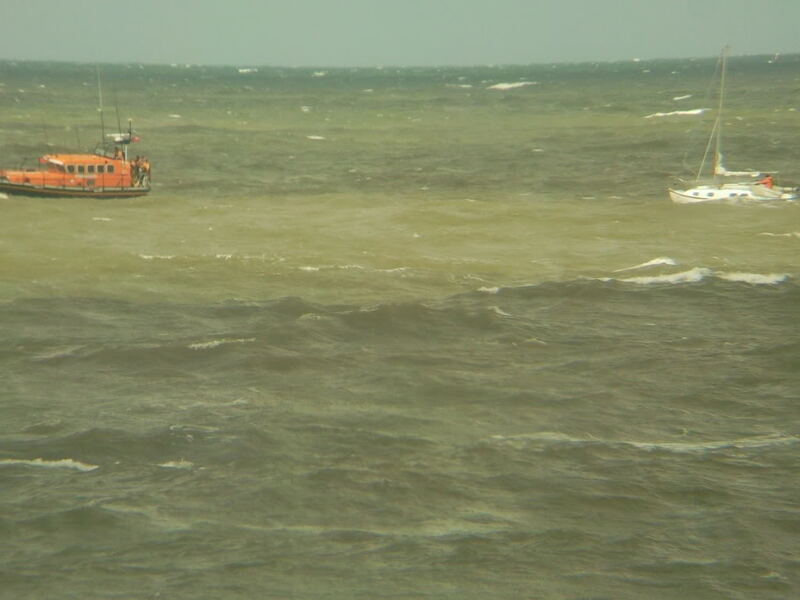 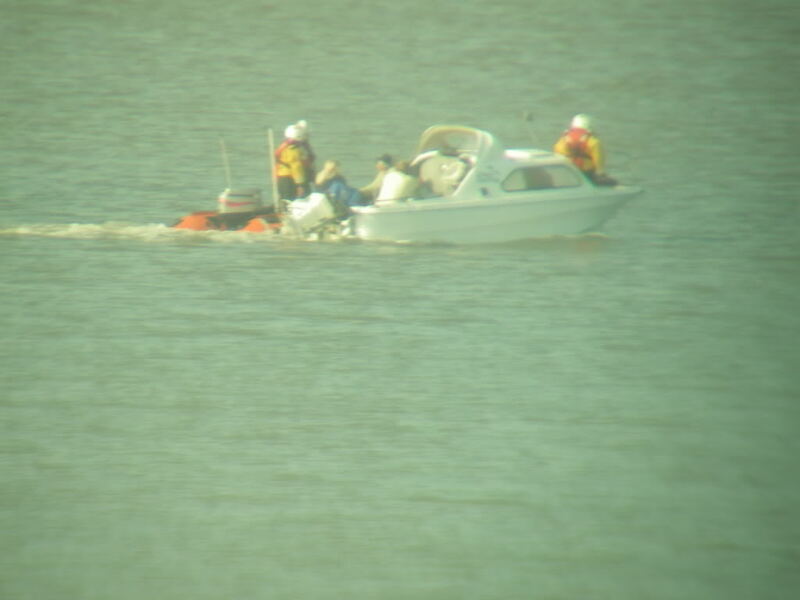 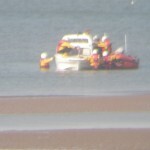 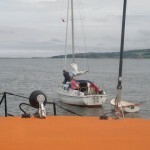 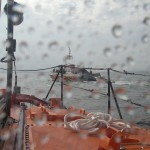 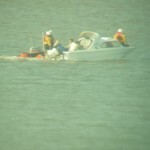 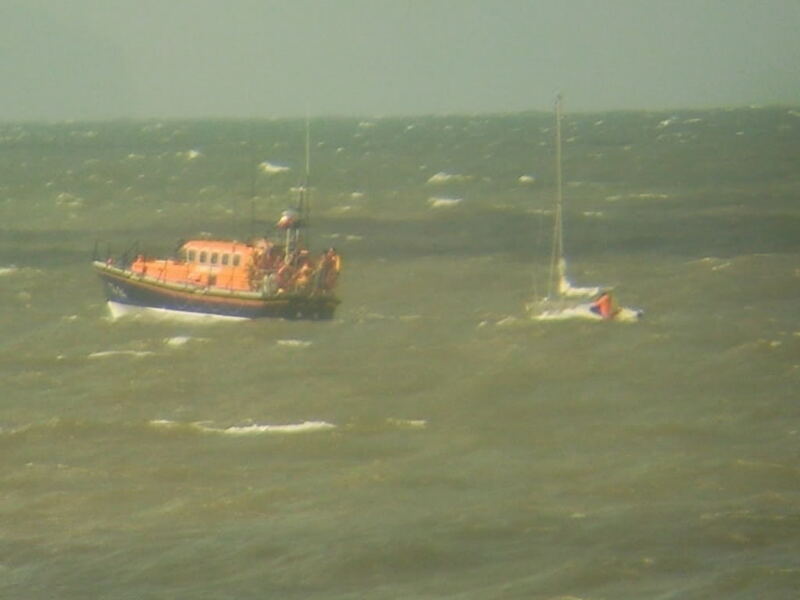 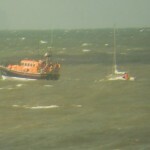 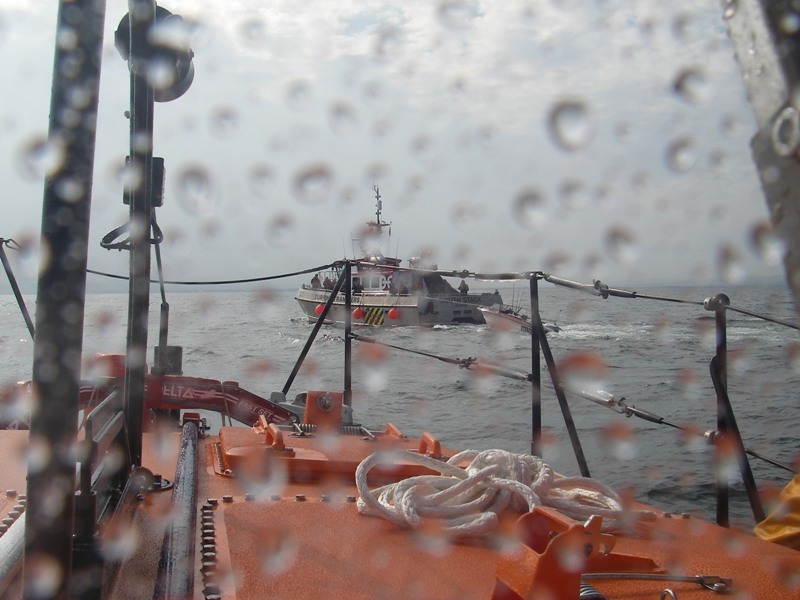 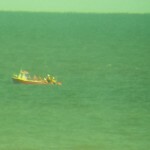 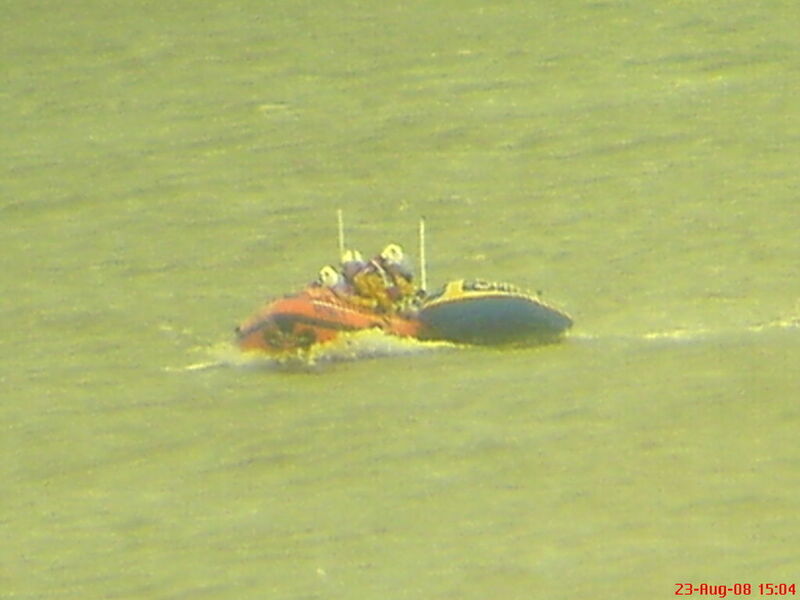 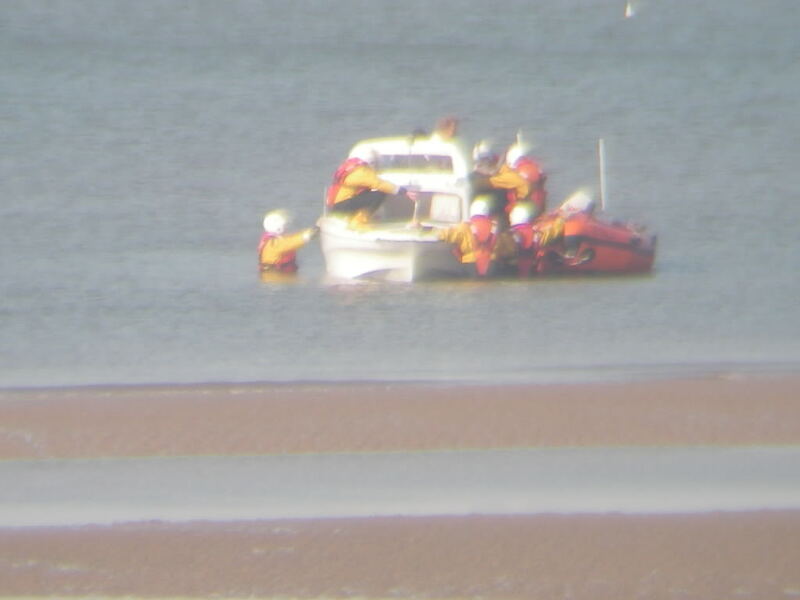 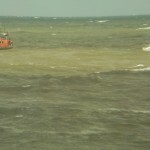 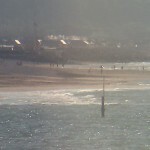 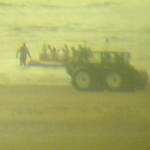 ILB 13th Oct 2009 – Taken through station binoculars. 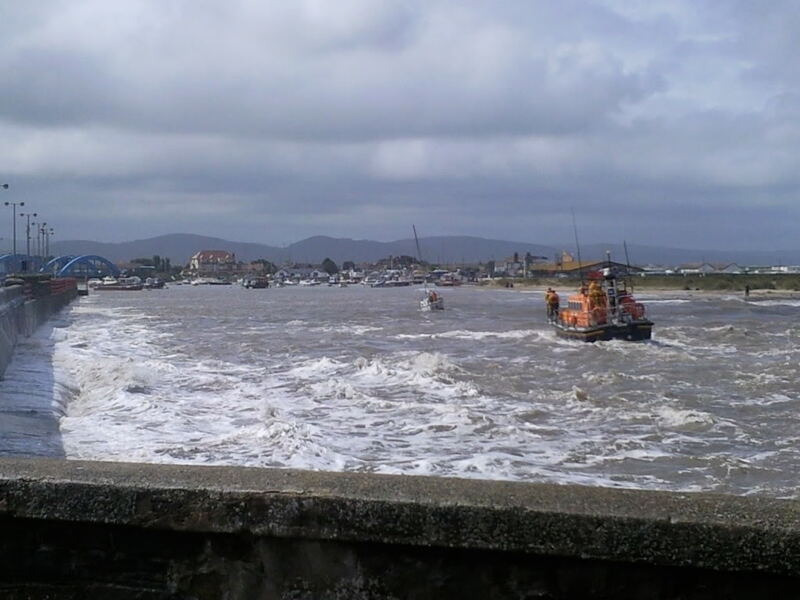 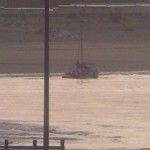 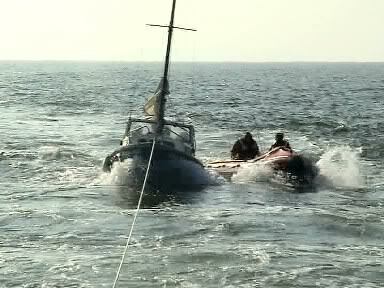 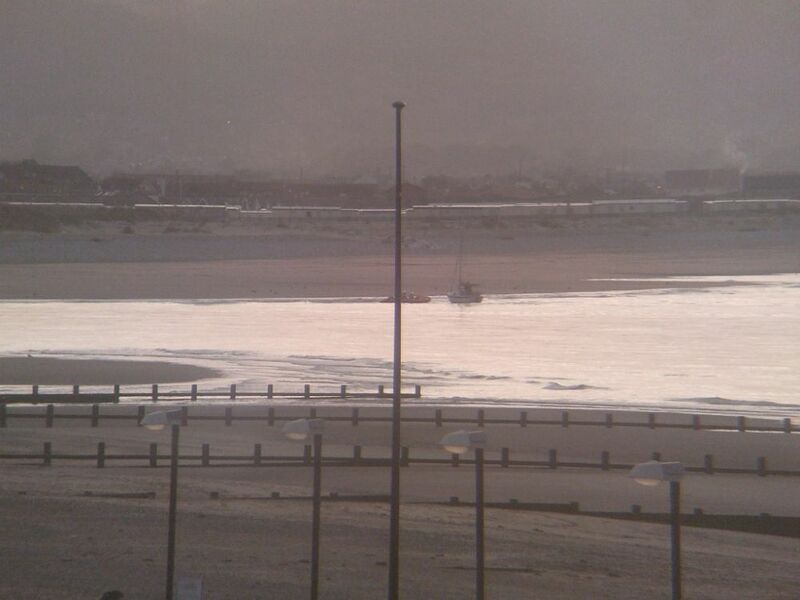 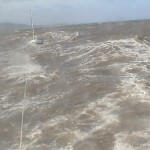 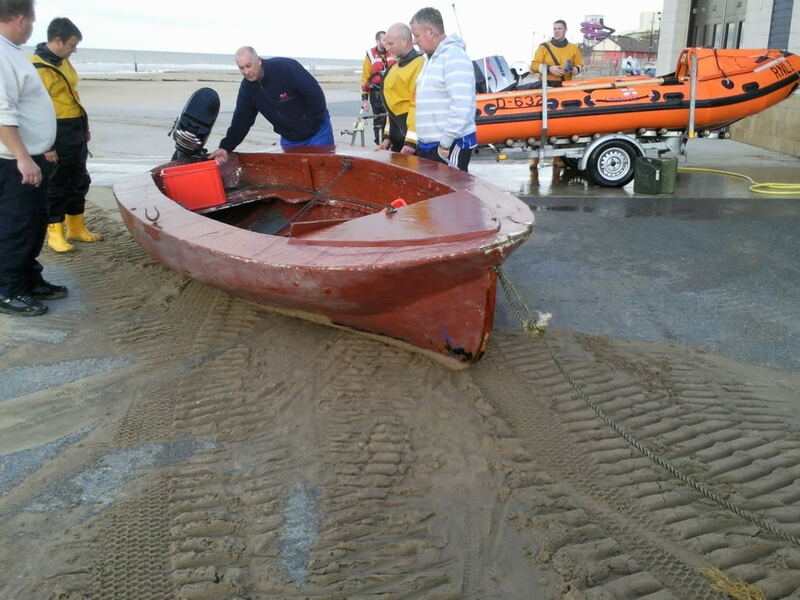 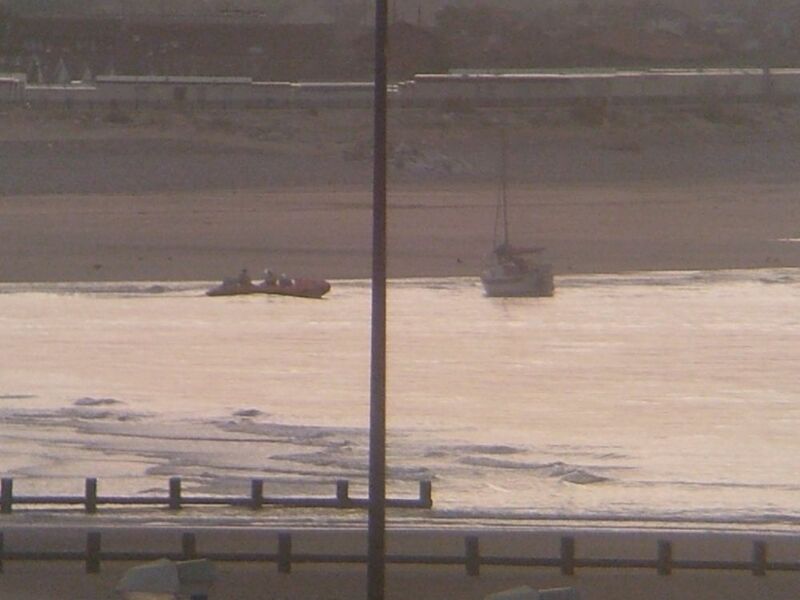 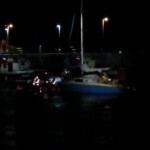 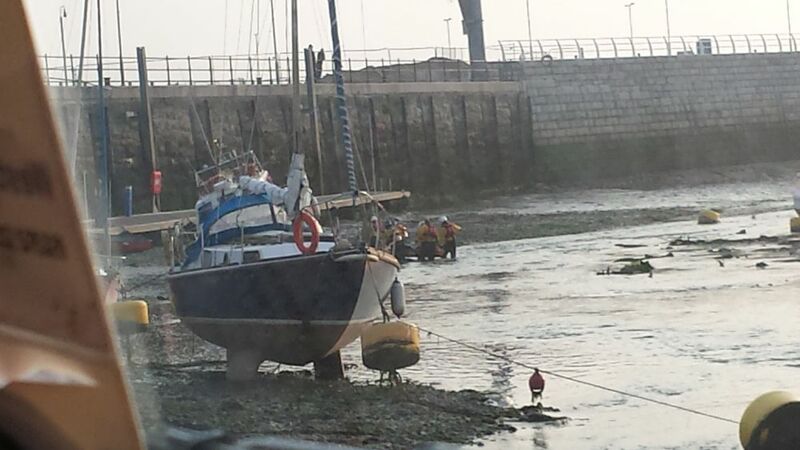 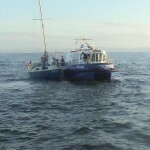 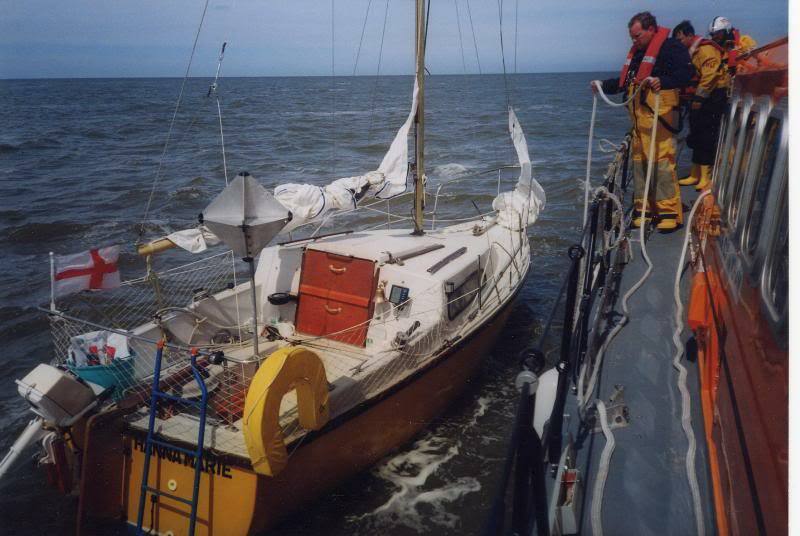 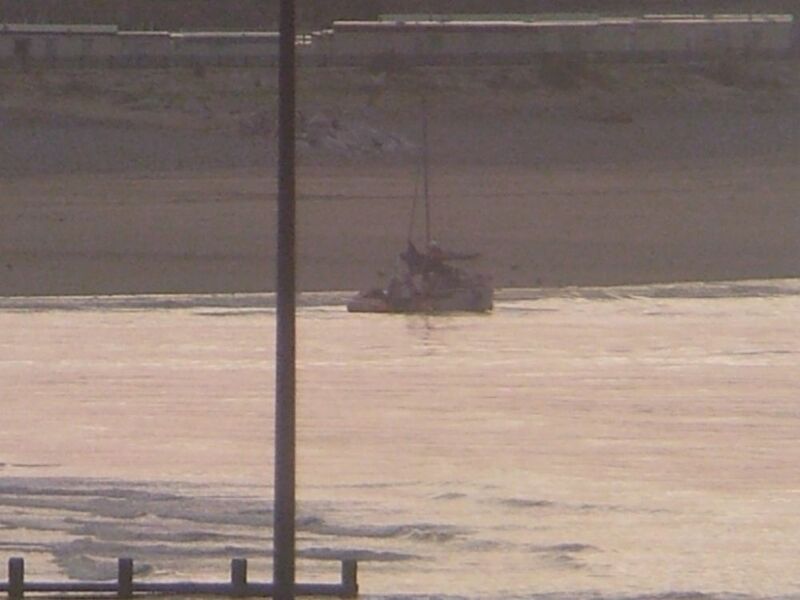 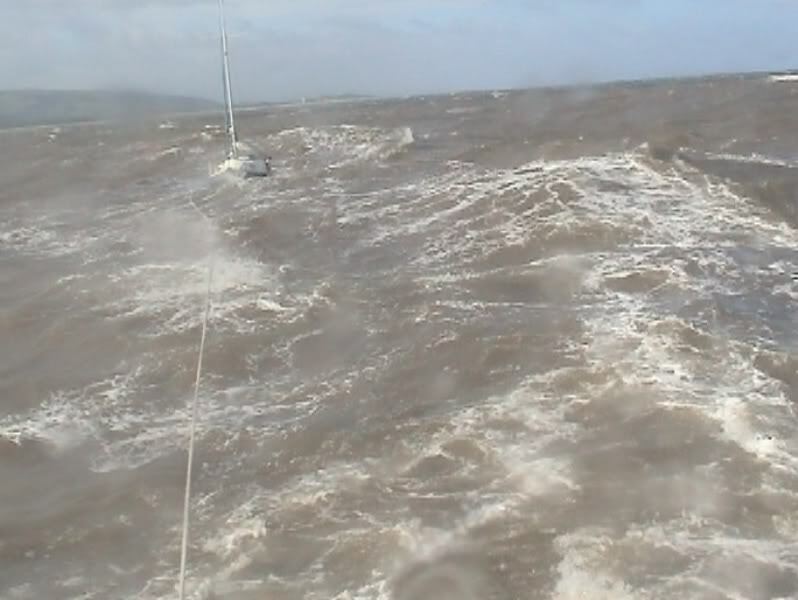 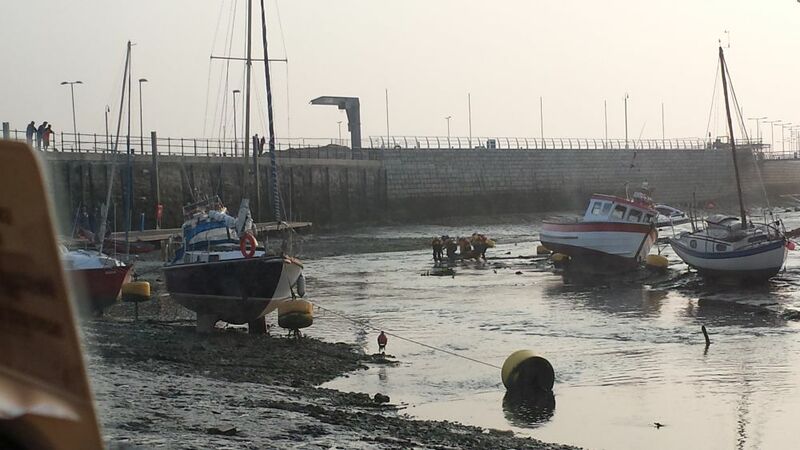 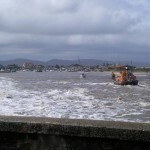 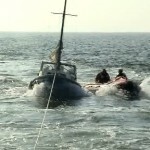 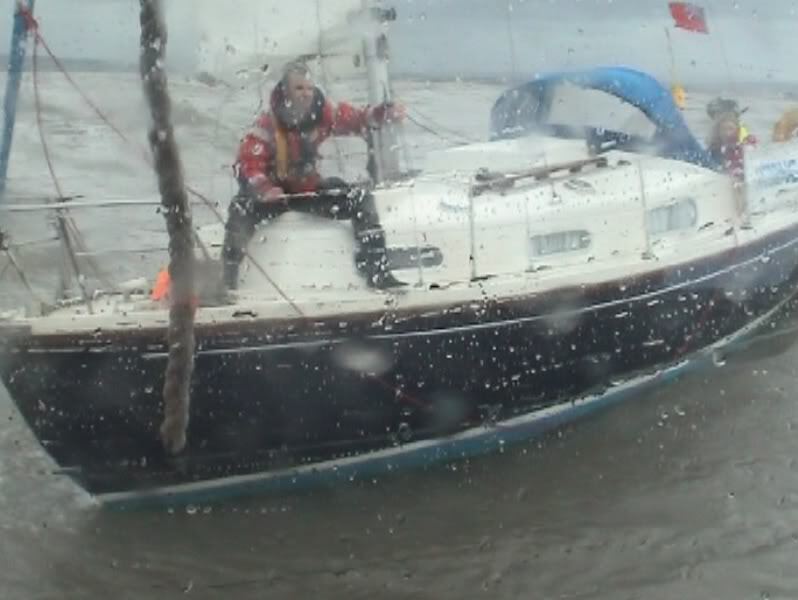 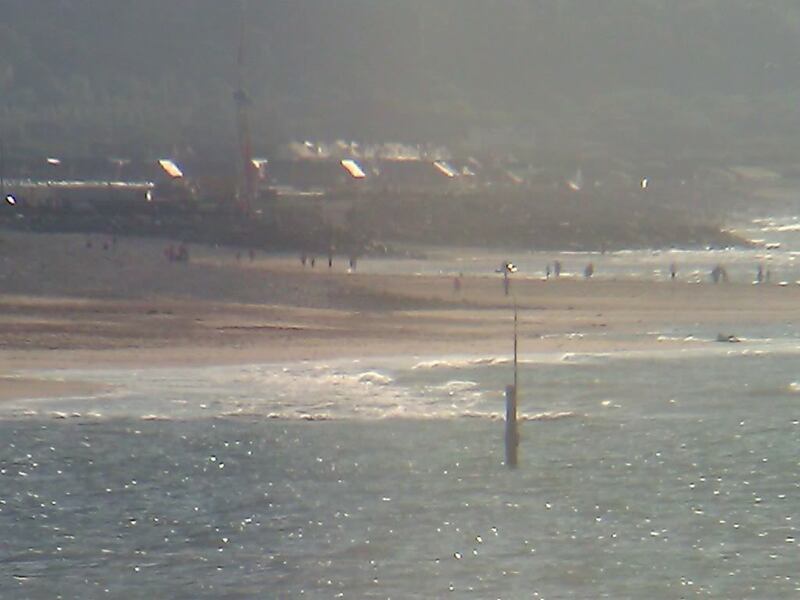 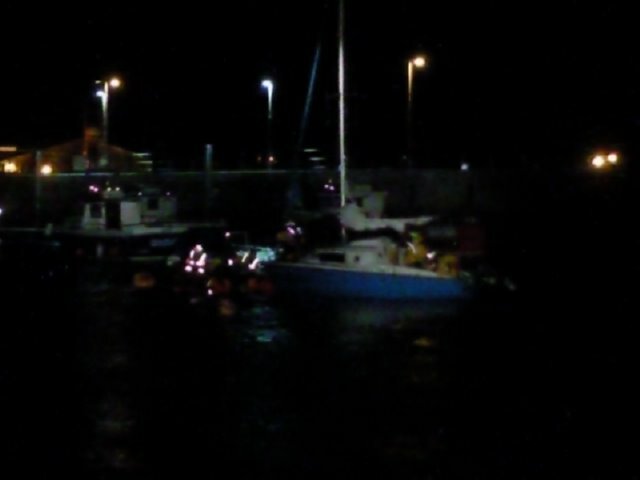 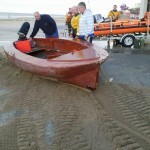 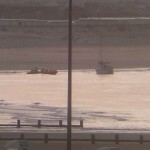 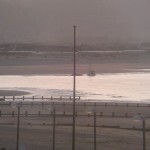 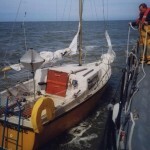 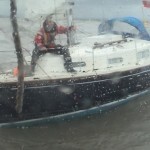 Yacht entering Rhyl harbour grounded, then pushed on to beach with incoming tide. 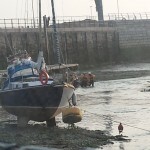 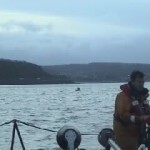 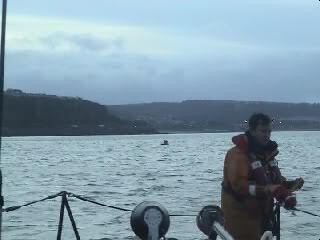 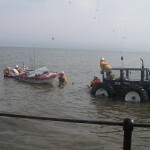 ILB towed off beach and into harbour. 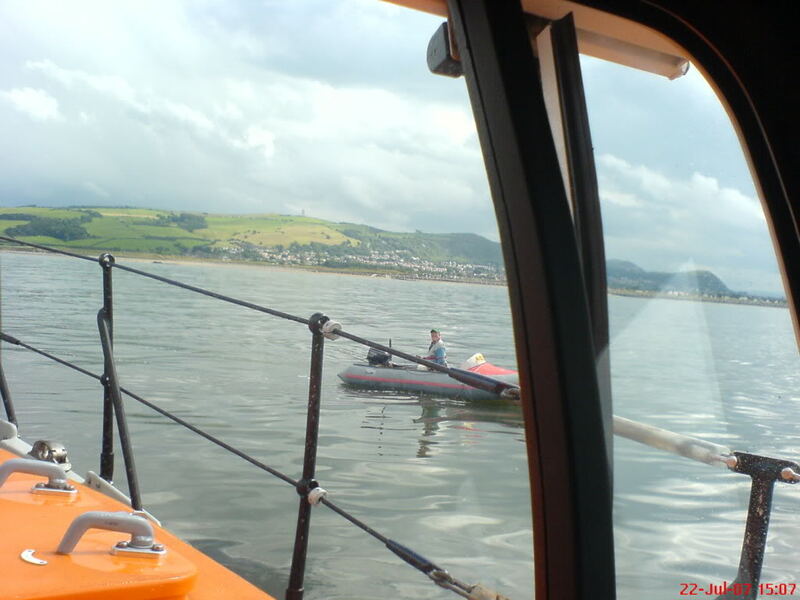 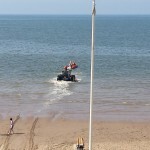 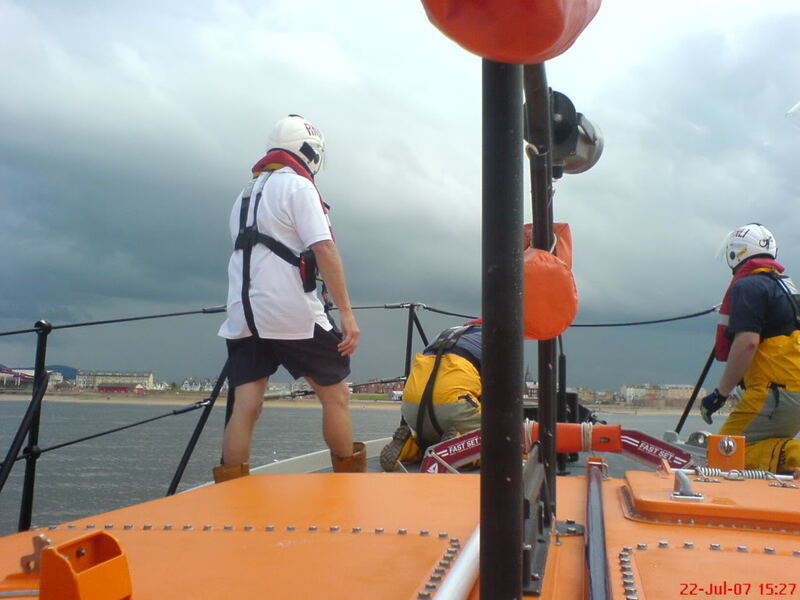 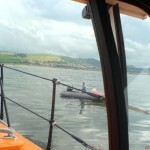 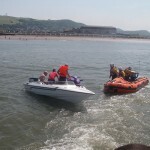 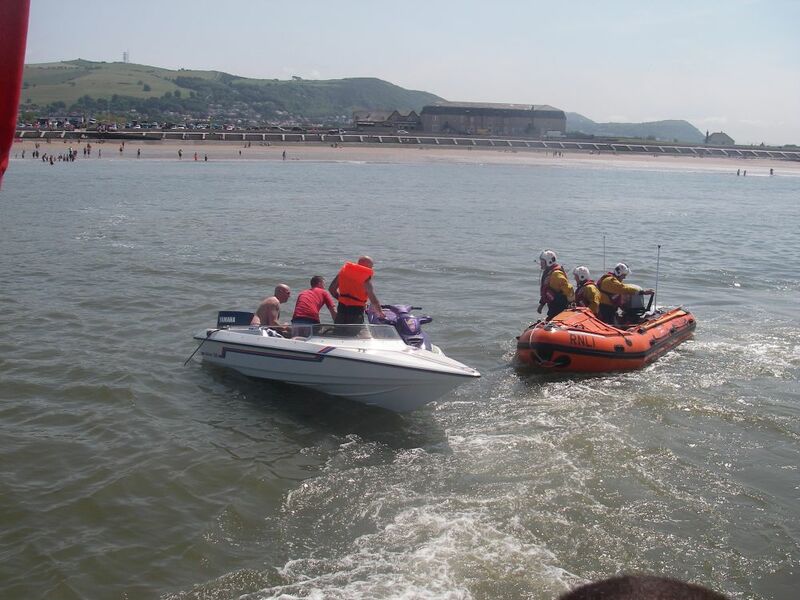 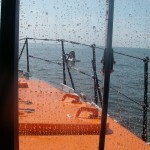 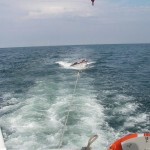 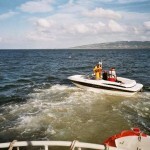 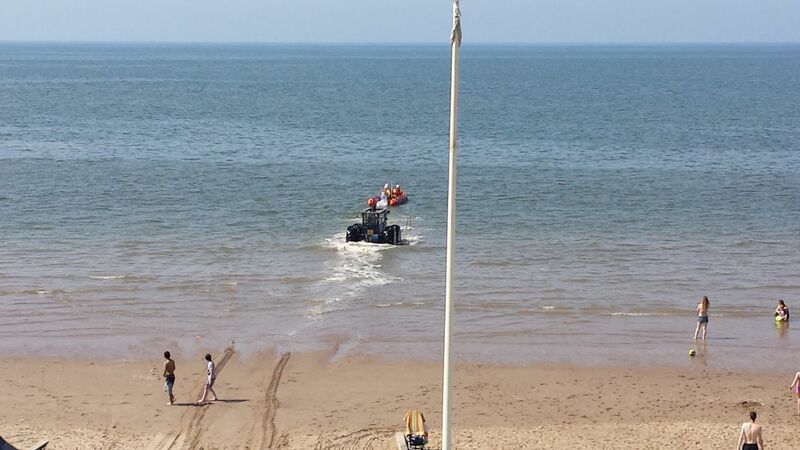 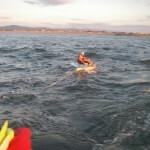 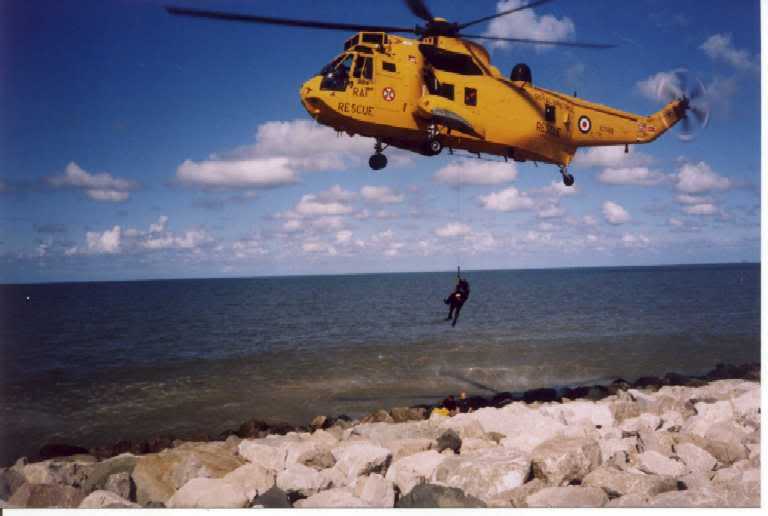 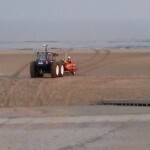 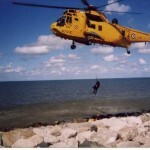 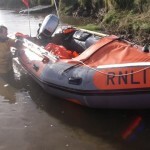 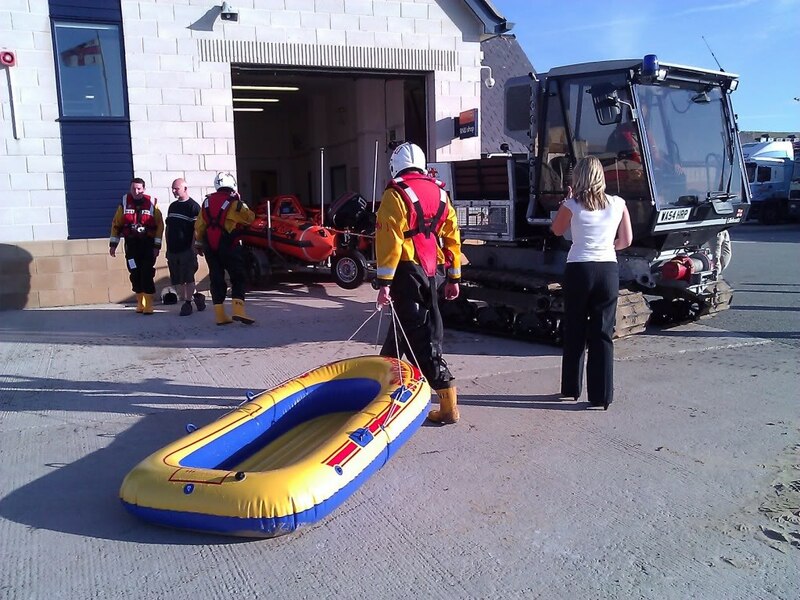 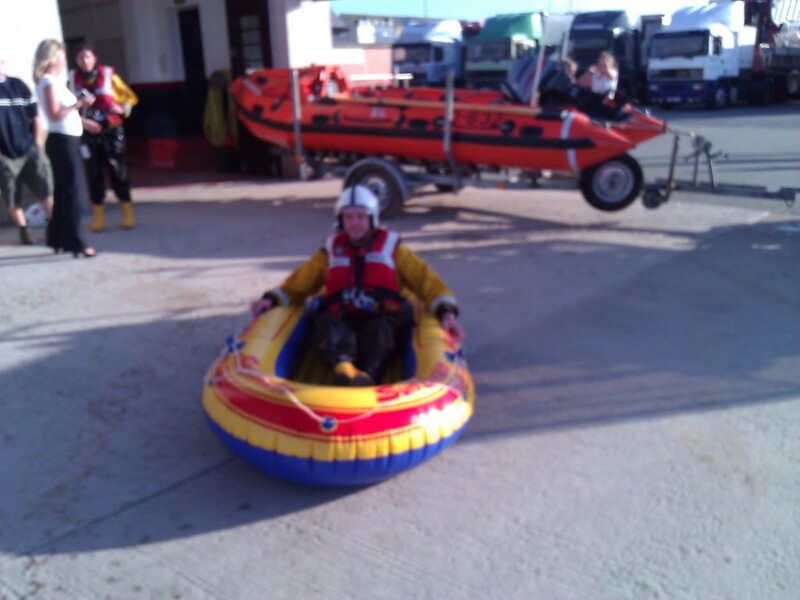 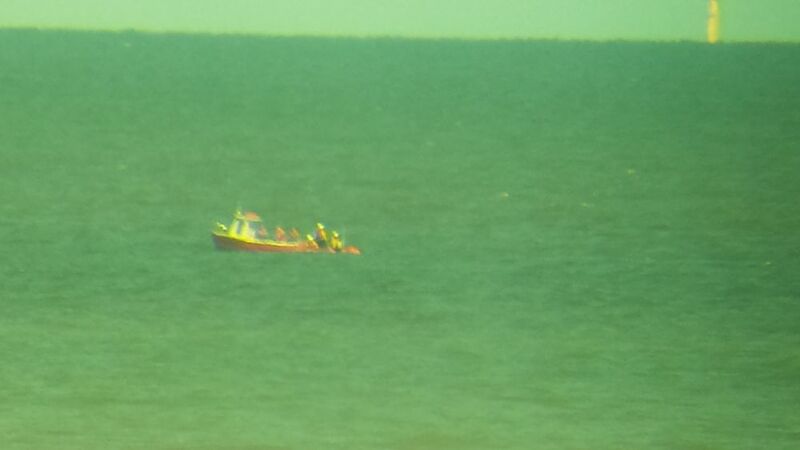 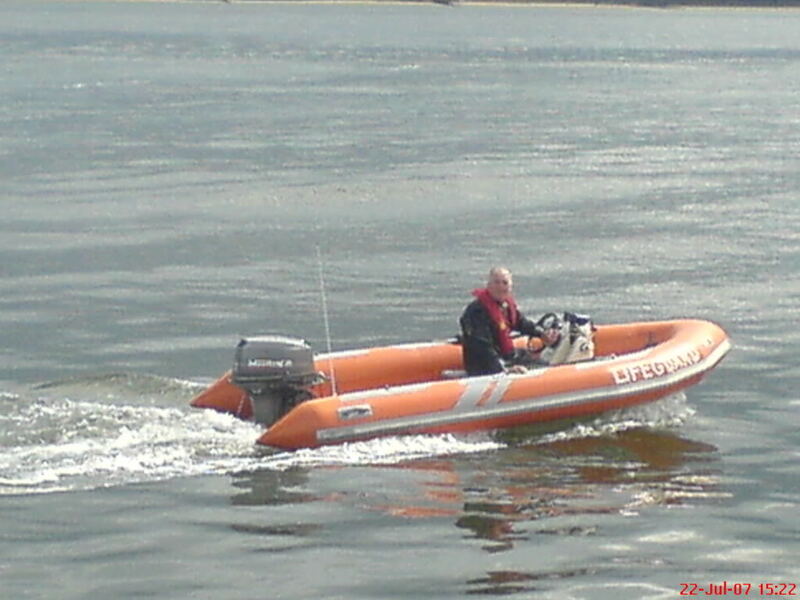 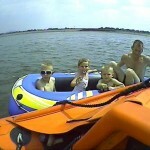 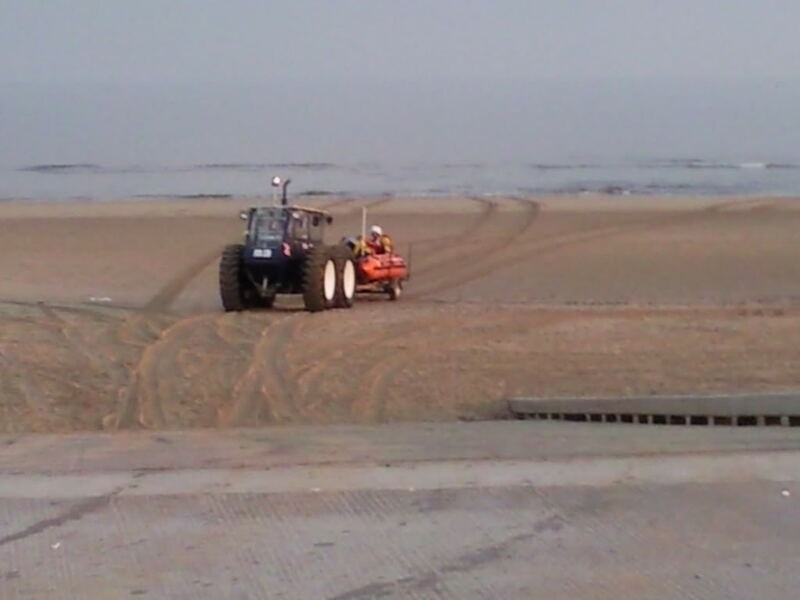 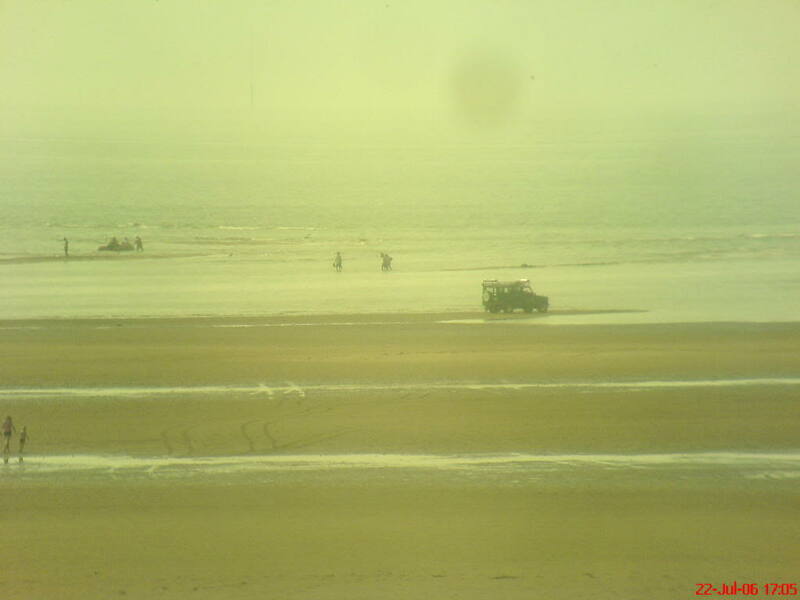 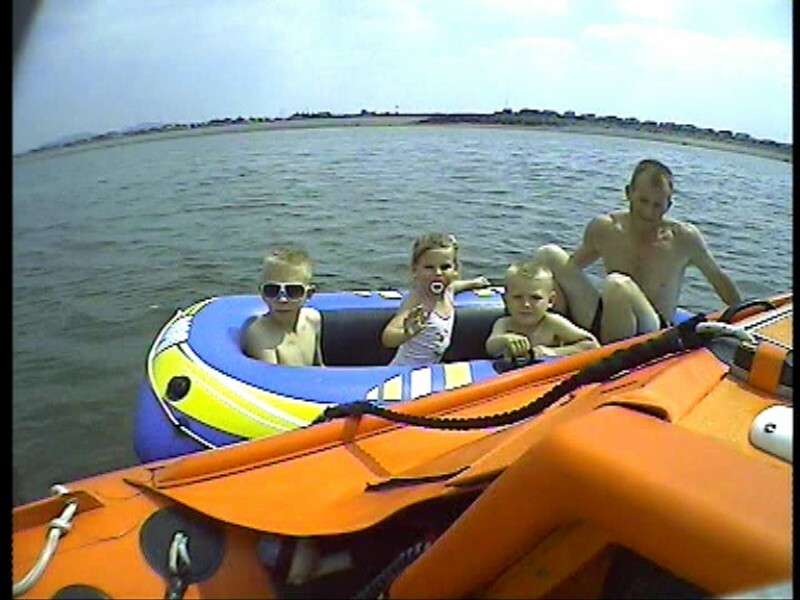 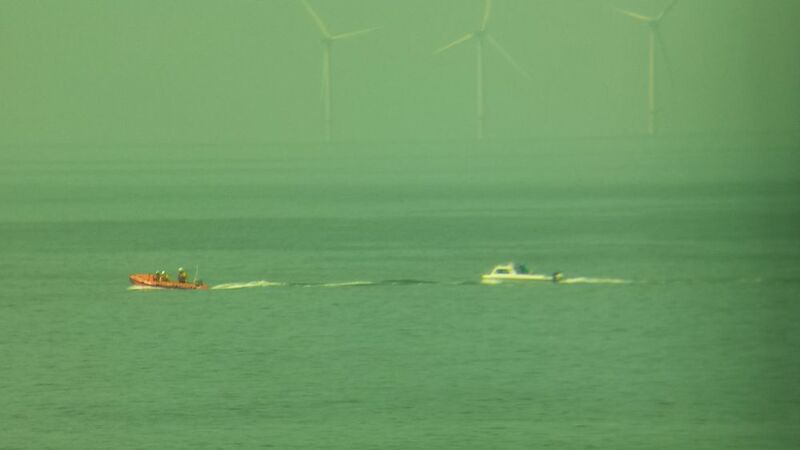 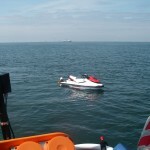 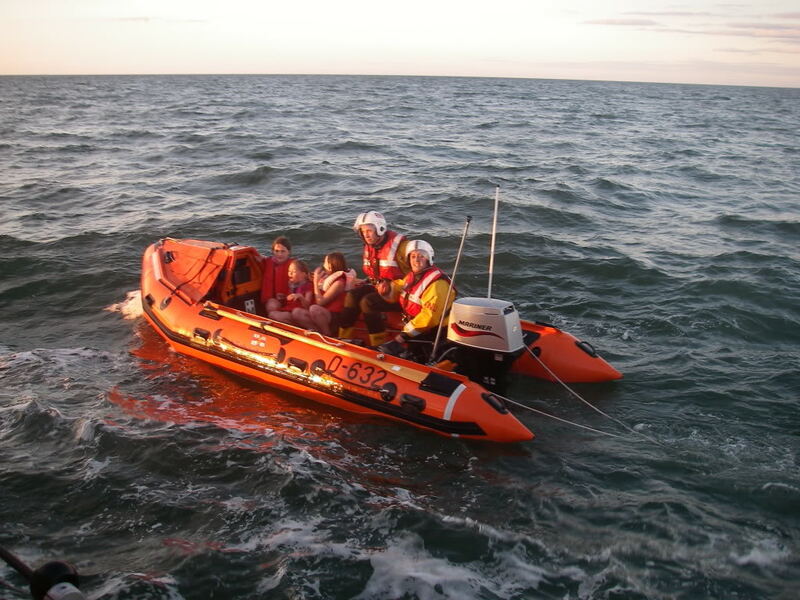 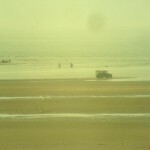 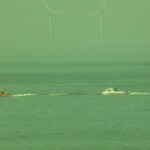 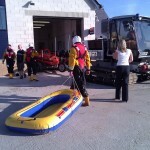 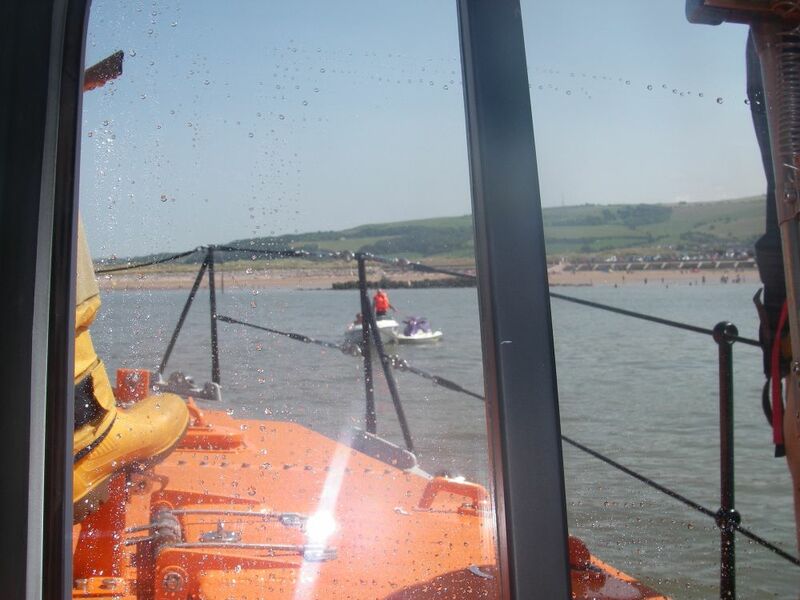 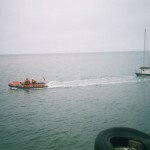 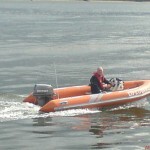 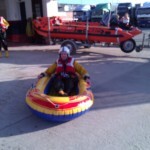 ILB service 3/6/10 – 3 children and 1 adult 500m out from Kinmel Bay. 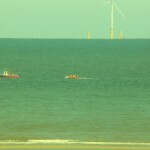 offshore wind and ebb tide.